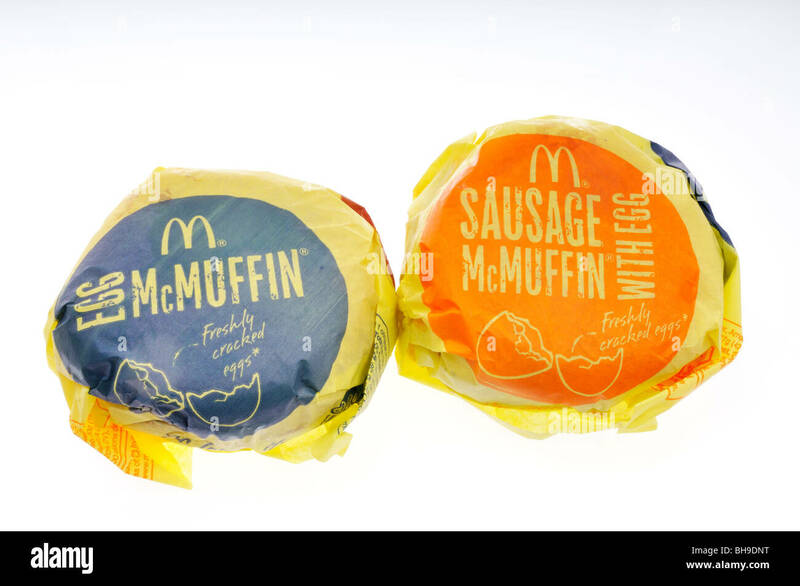 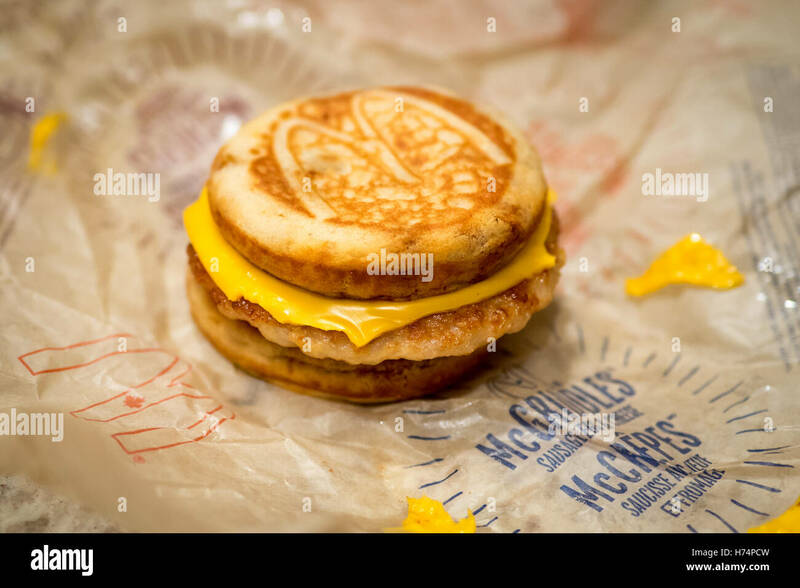 A McDonald's Sausage, Egg, and Cheese McGriddle breakfast sandwich. 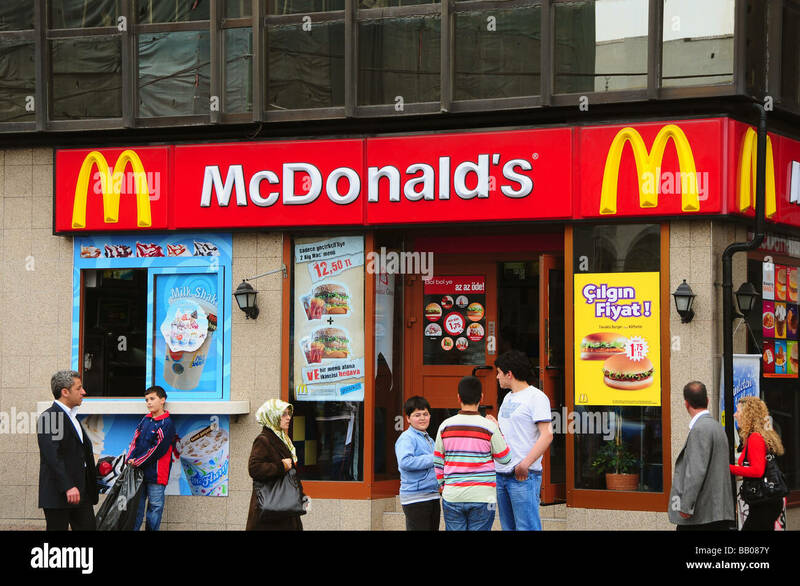 Markenname: 'McDonalds', Dezember 2013, Berlin. 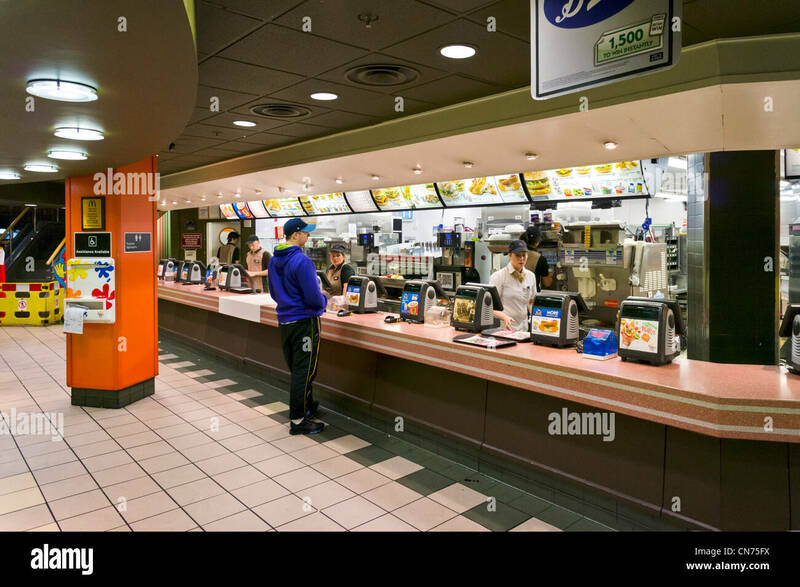 Chicago, Illinois - A young woman waits on a customer at a McDonald's fast food restaurant at Midway Airport. 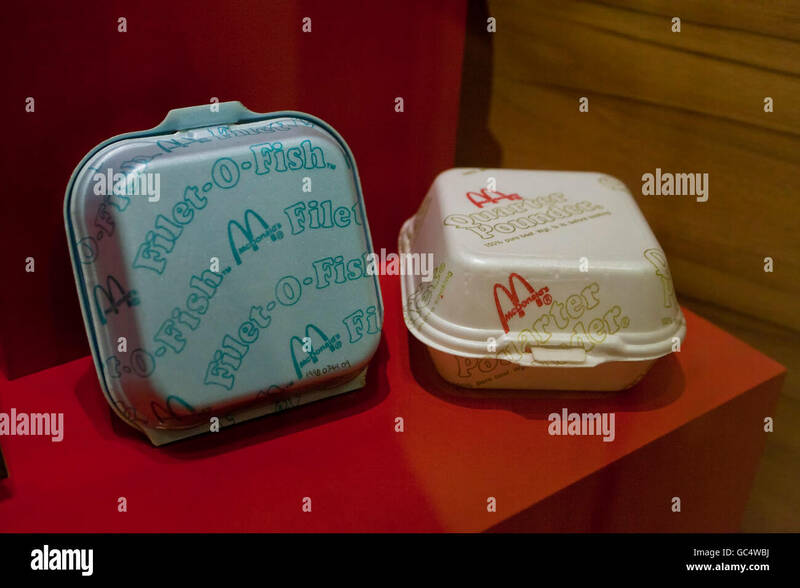 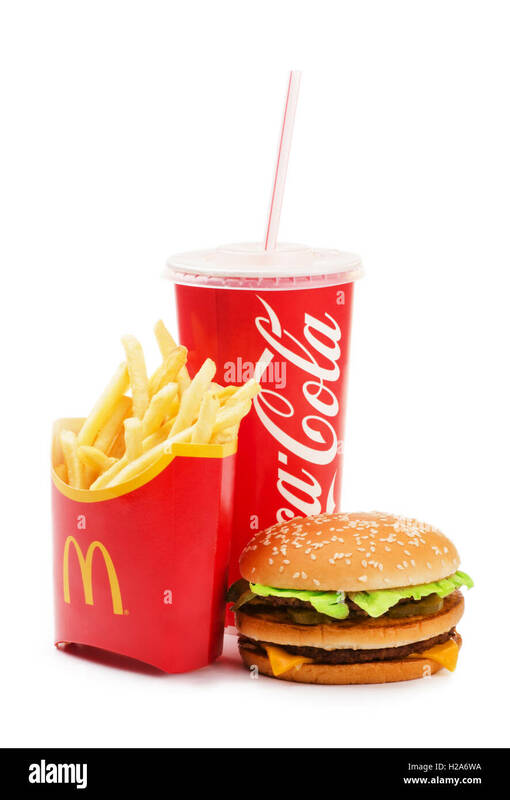 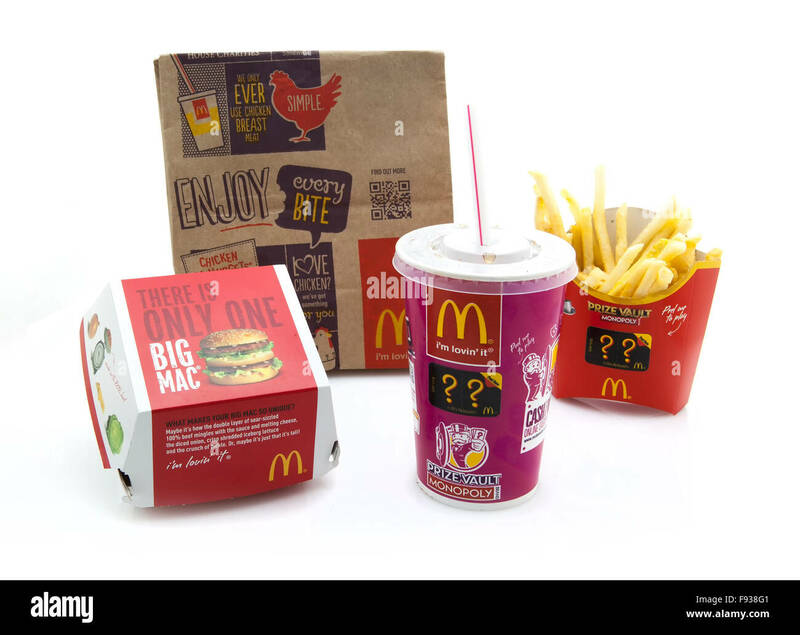 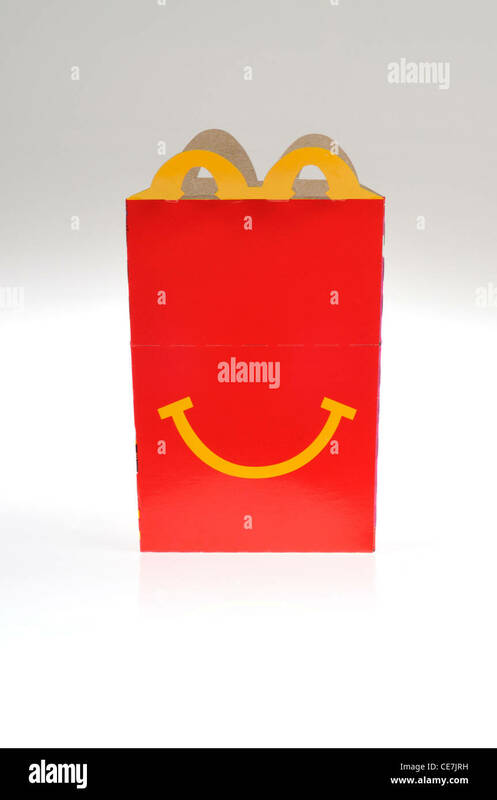 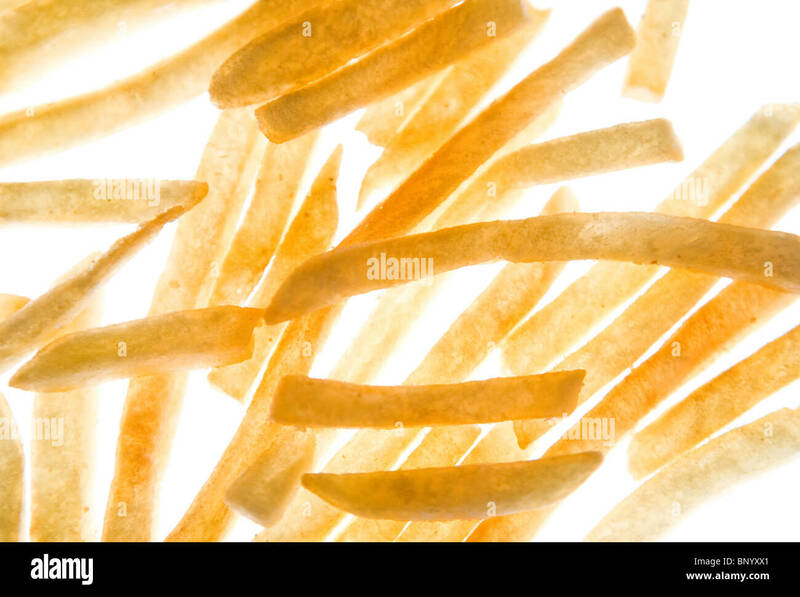 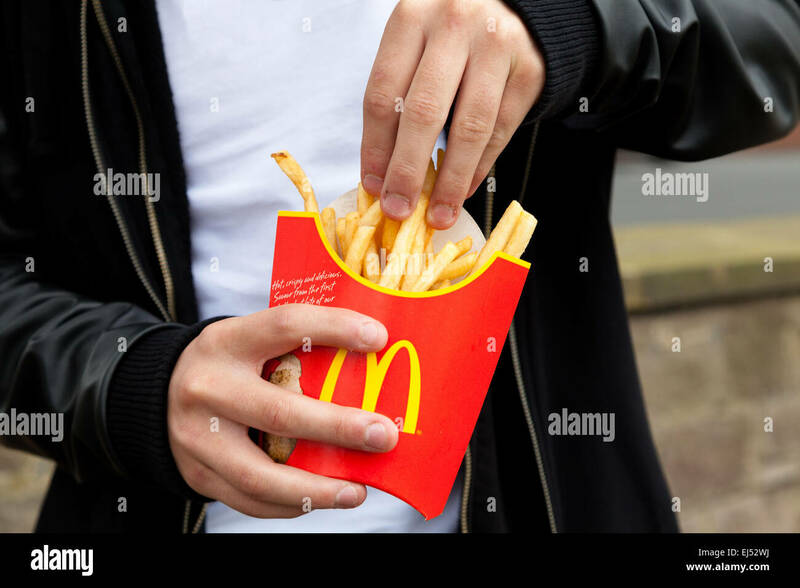 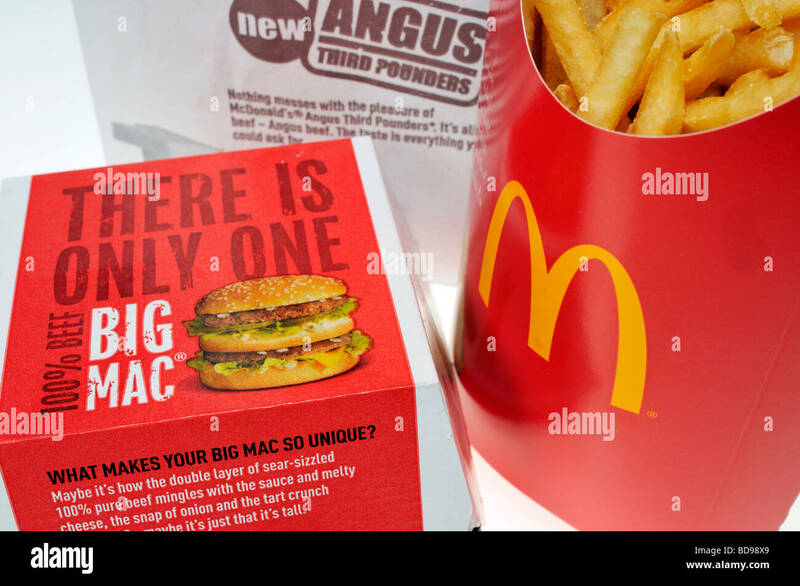 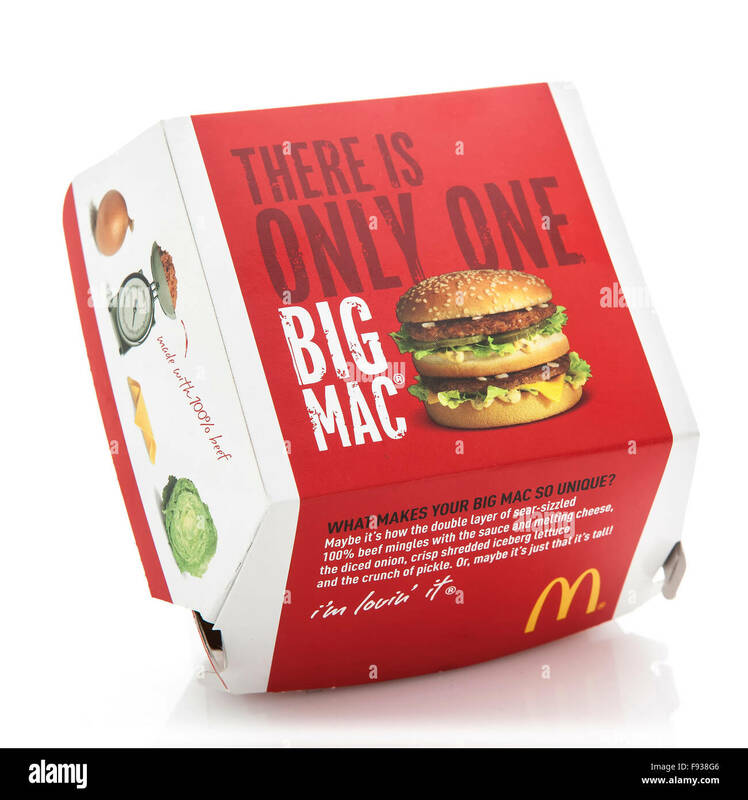 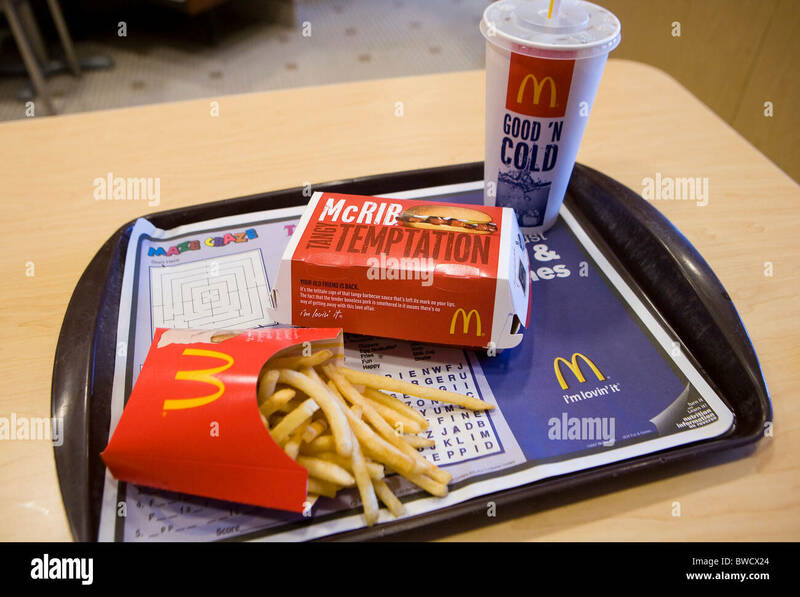 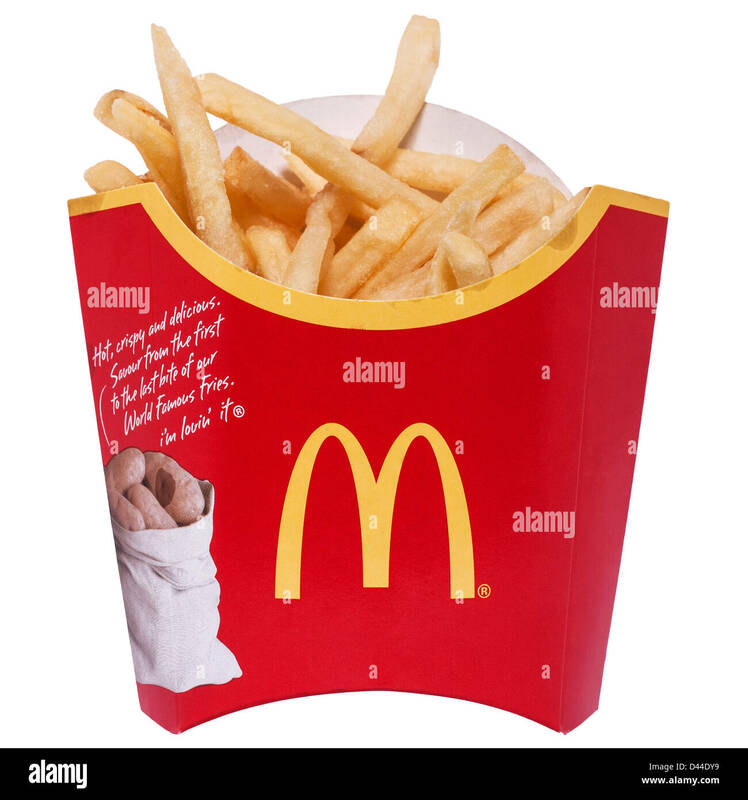 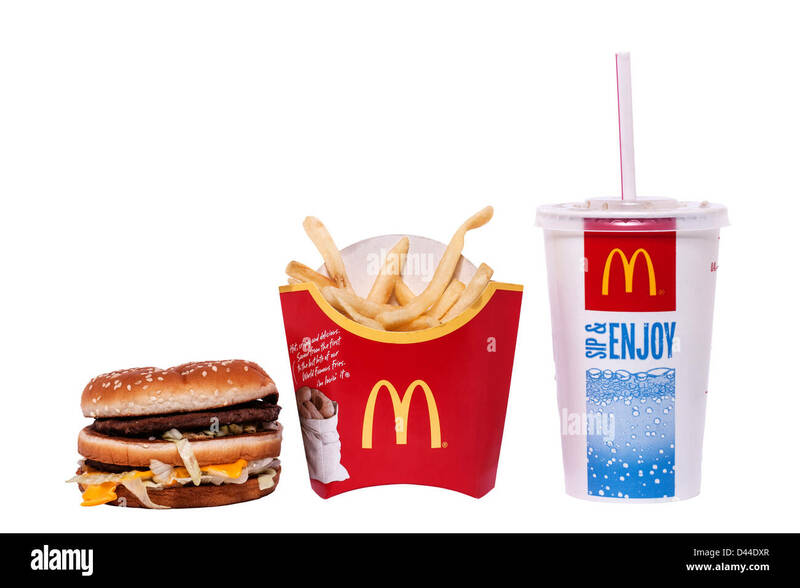 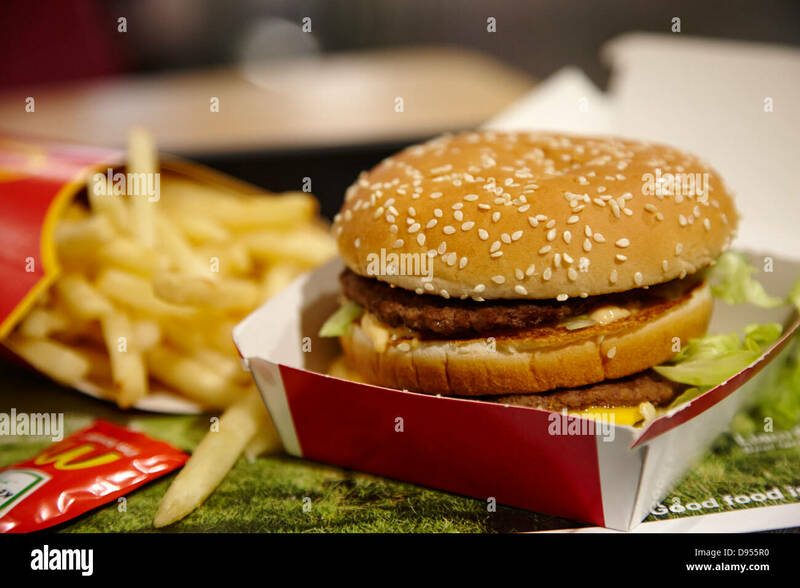 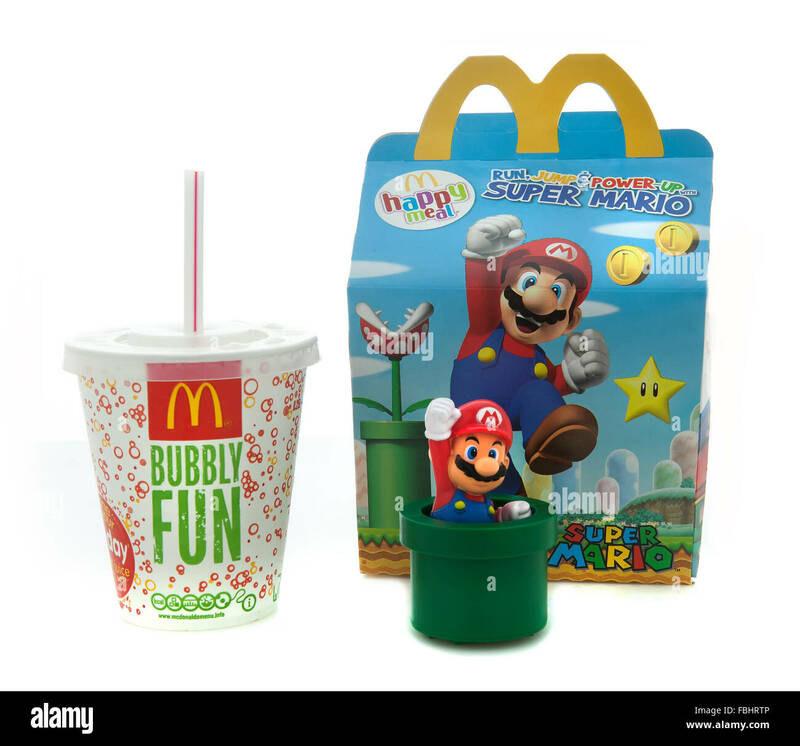 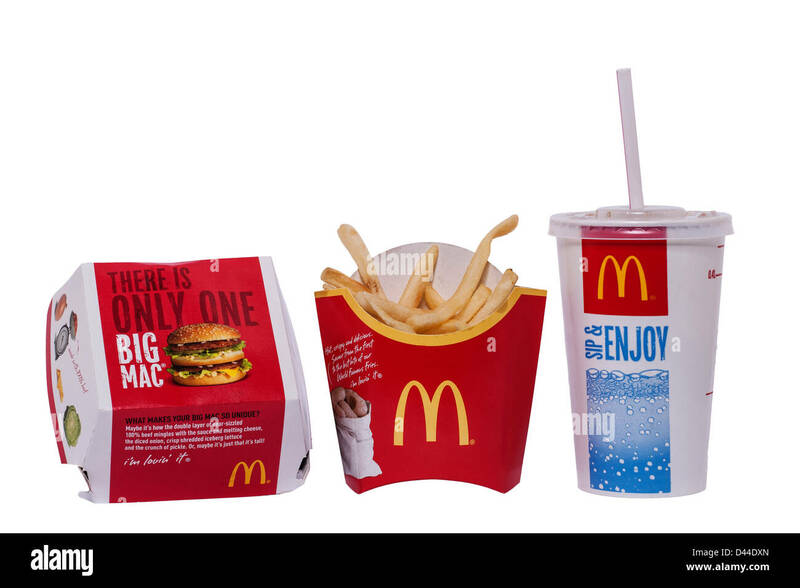 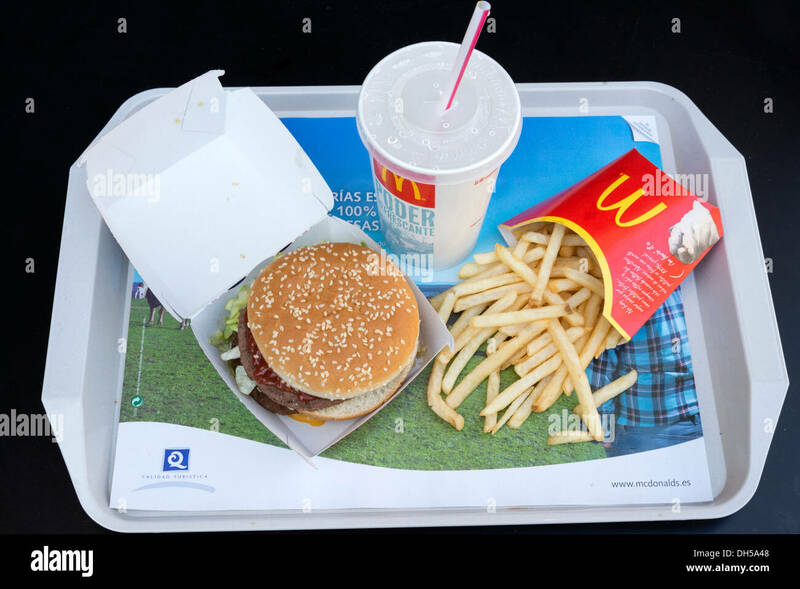 McDonald's Big Mac and french fries in packaging. 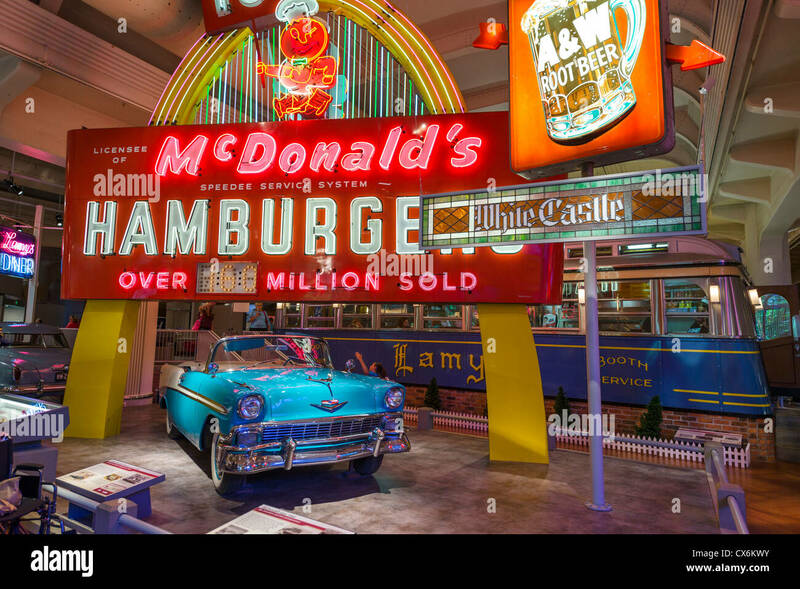 A drive-through McDonald's fast food restaurant renovated in a 1950's retro style in Jackson, Tennessee. 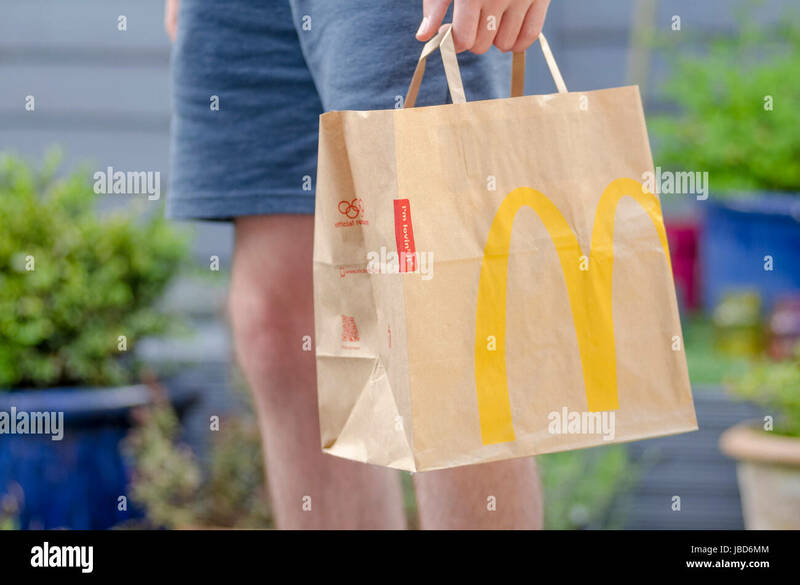 Close up of a McDonald's Take Away Food Brown Paper Bag, McDonald's is a fast food restaurant chain founded in 1940. 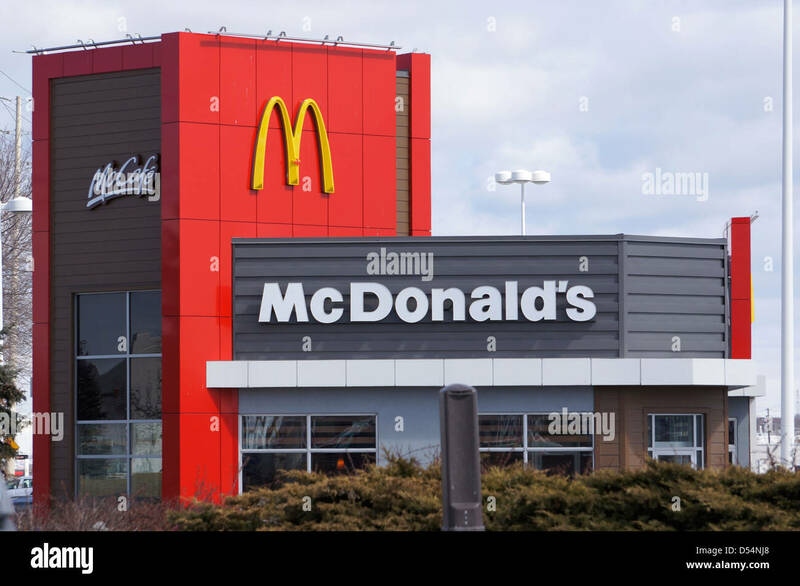 McDonald's Canada with small maple leaf in M sign. 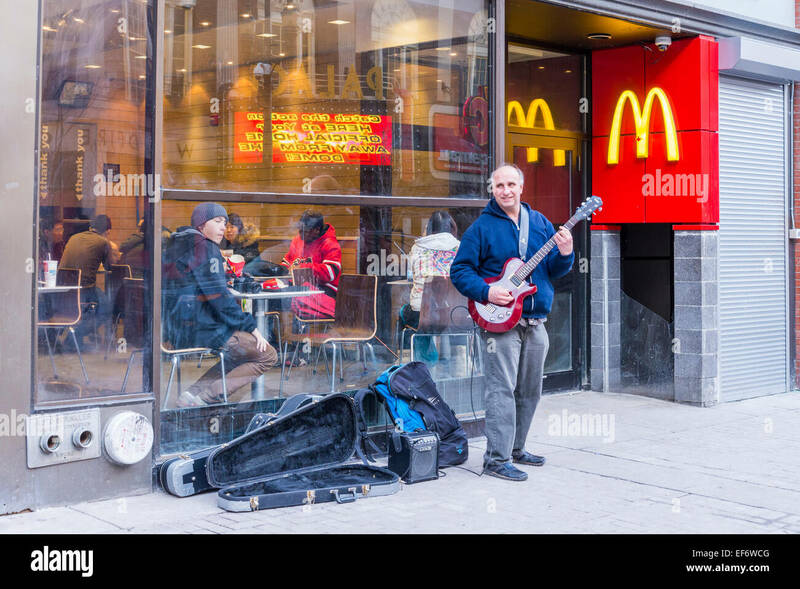 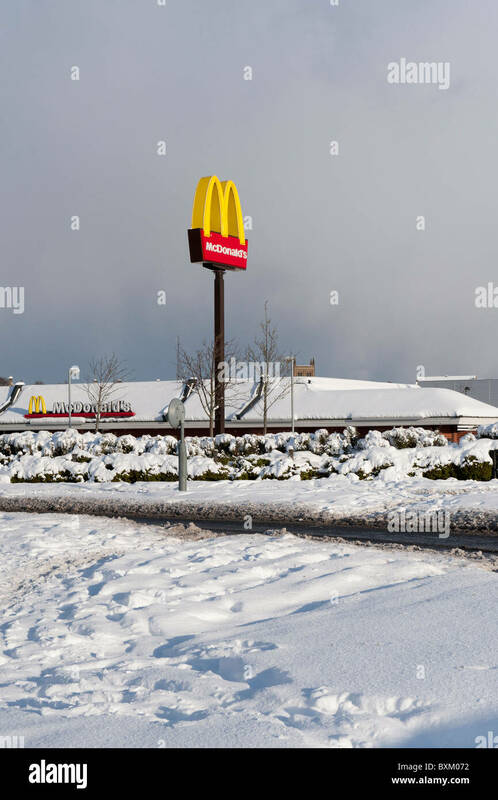 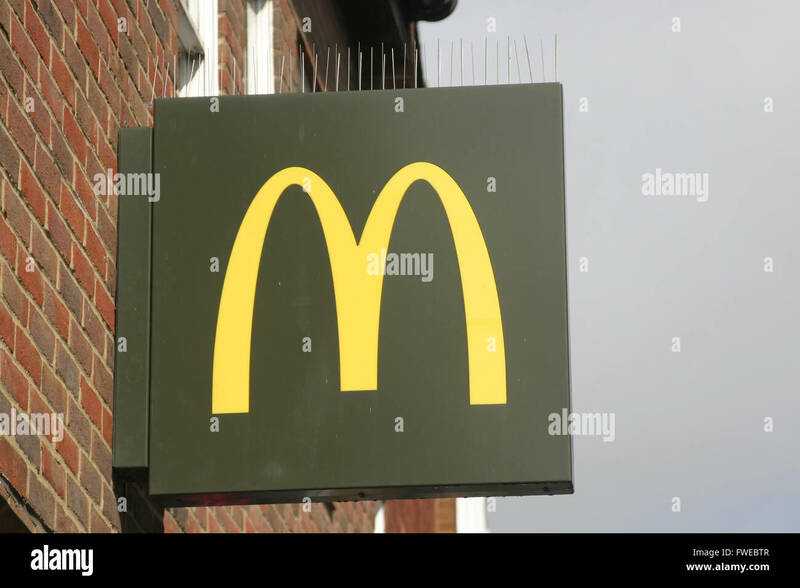 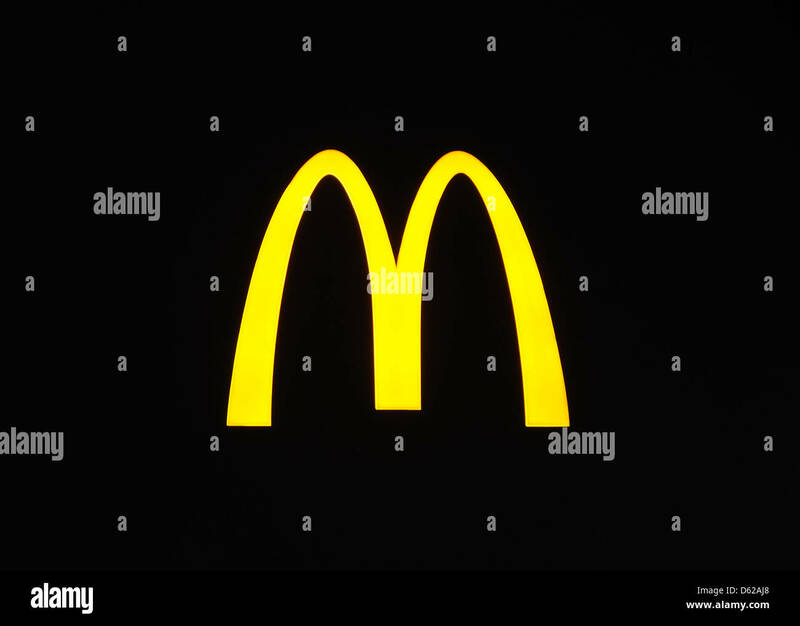 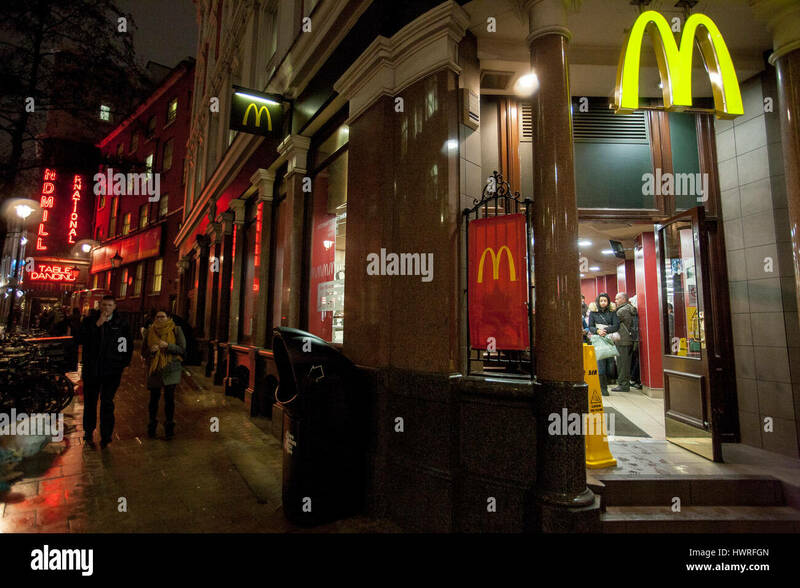 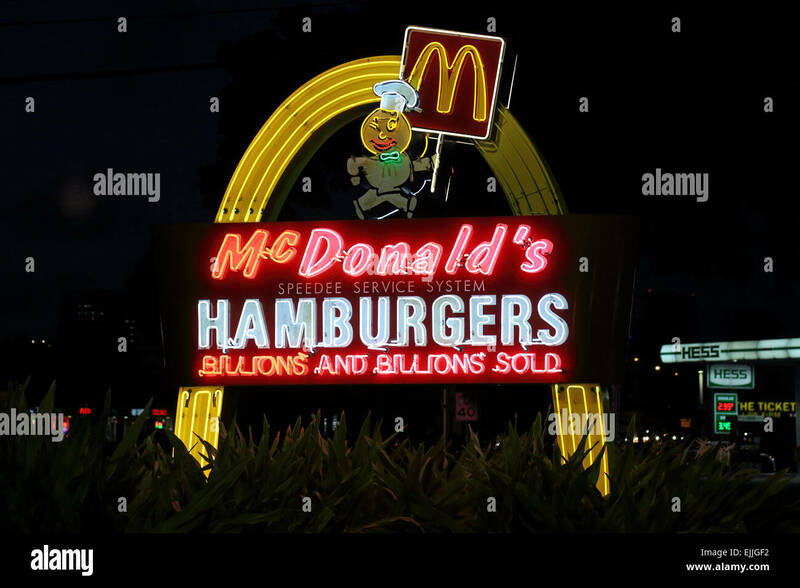 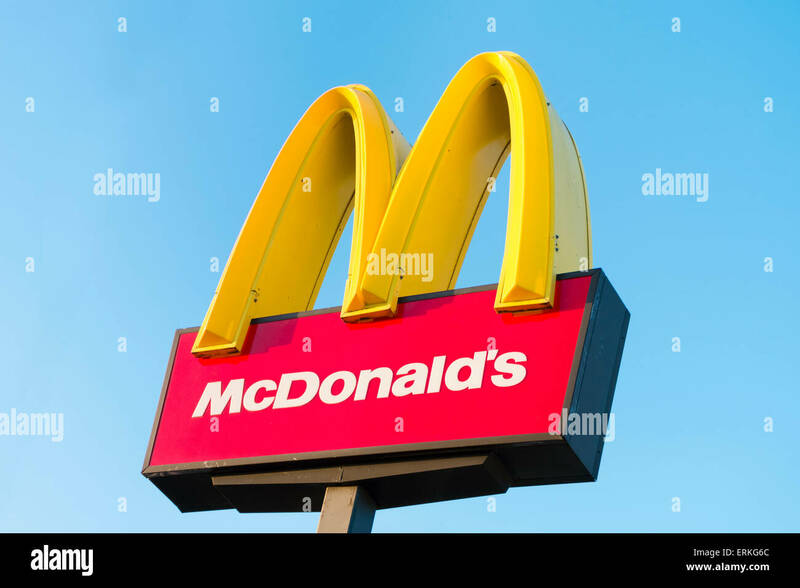 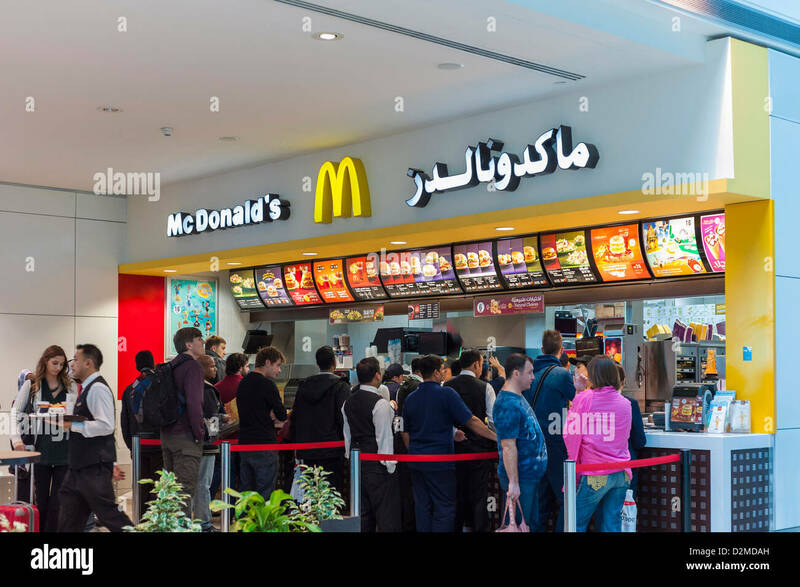 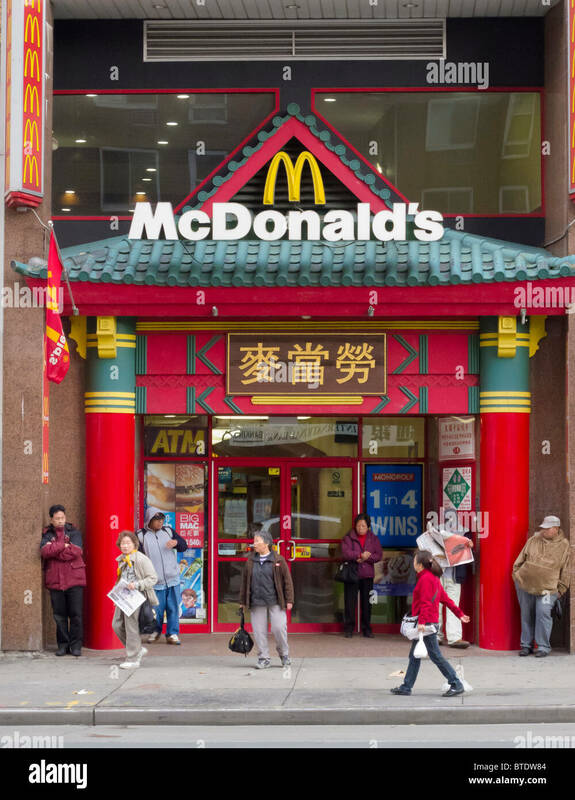 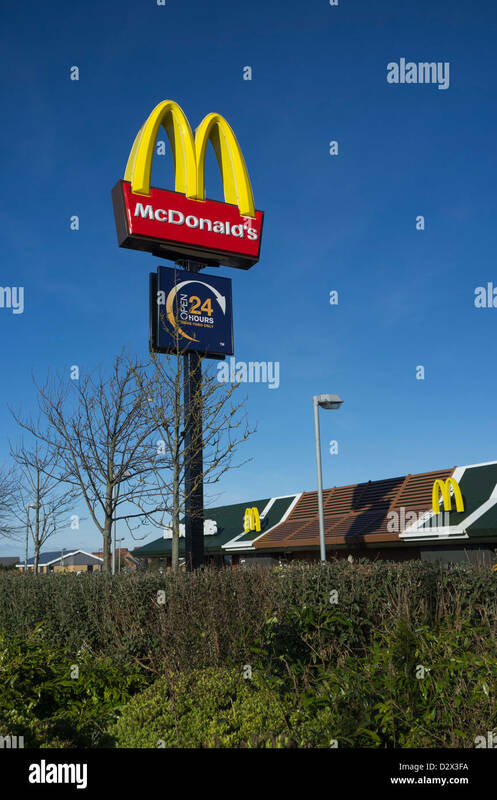 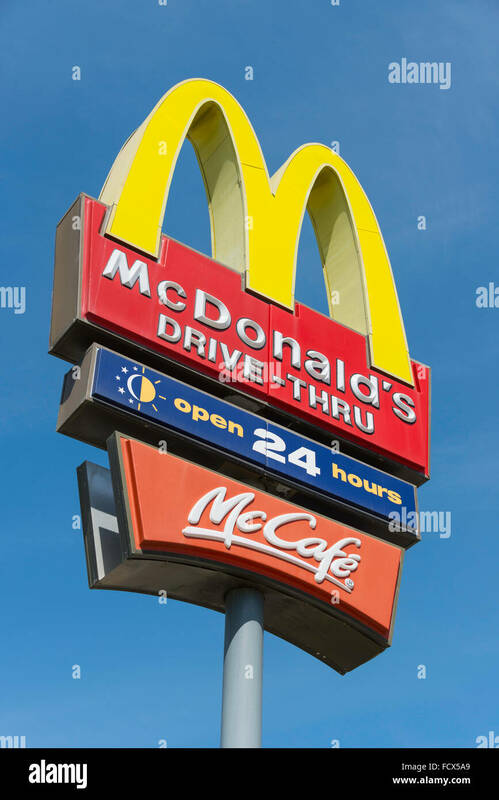 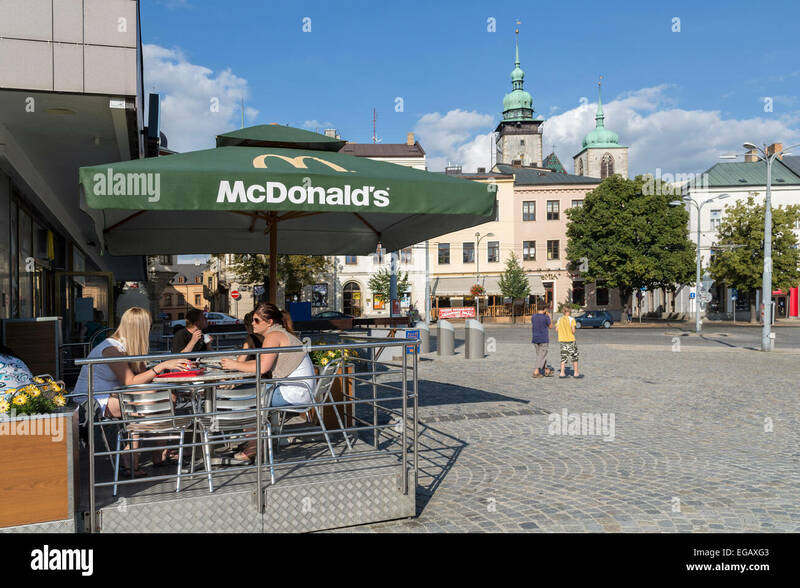 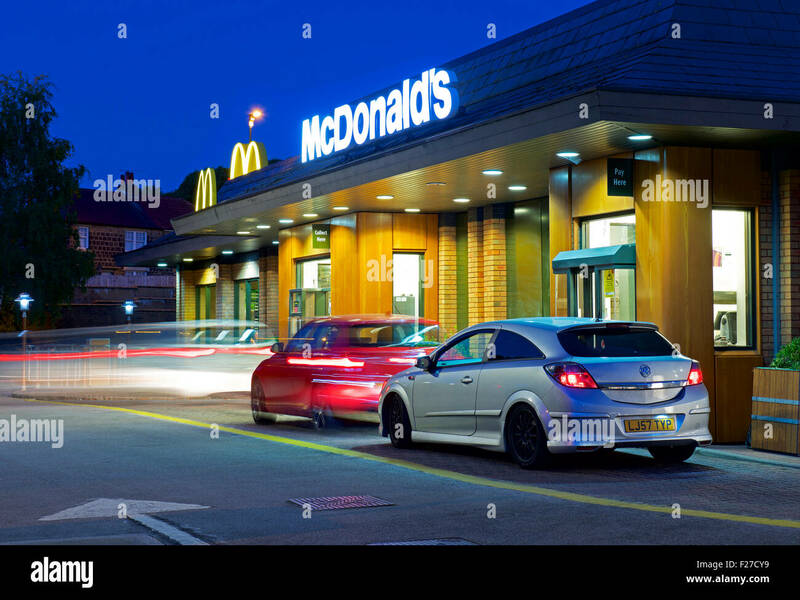 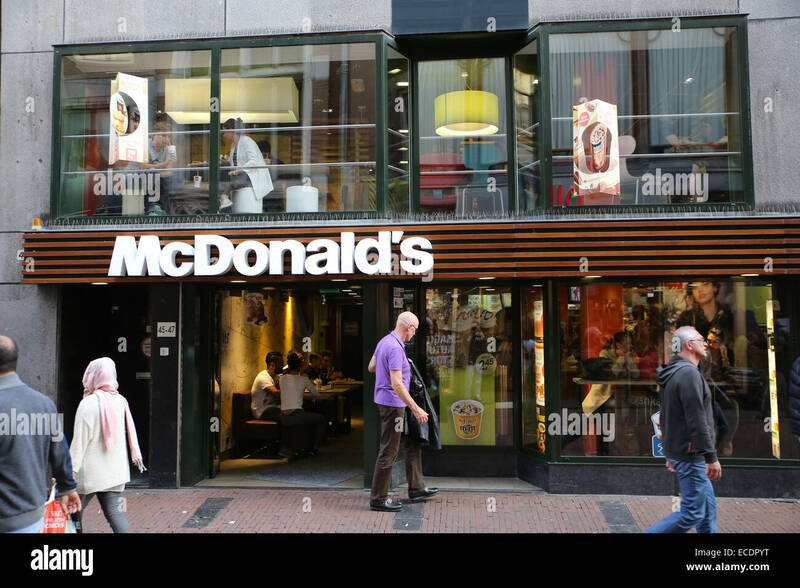 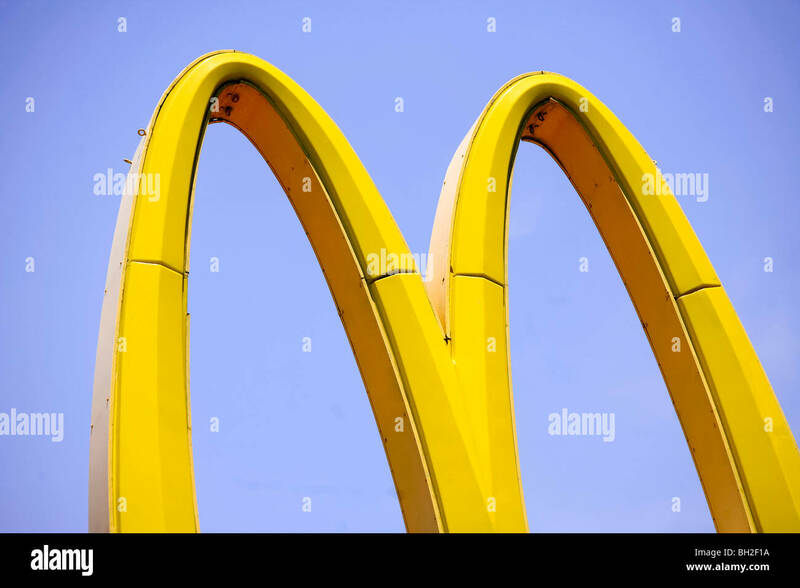 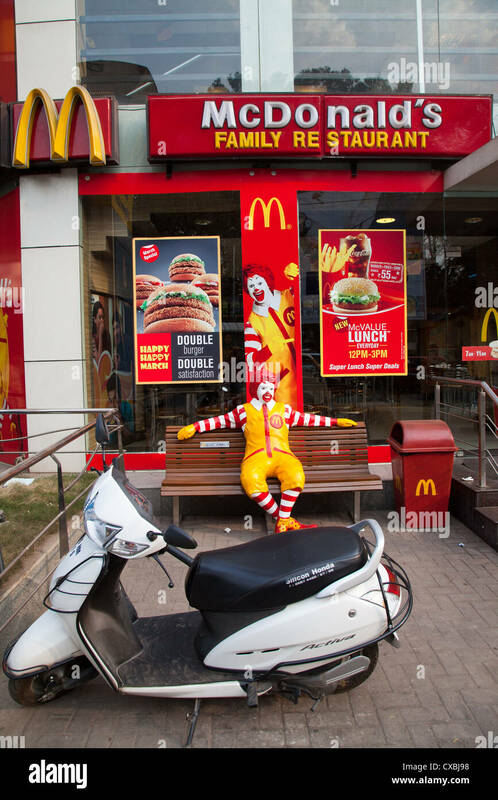 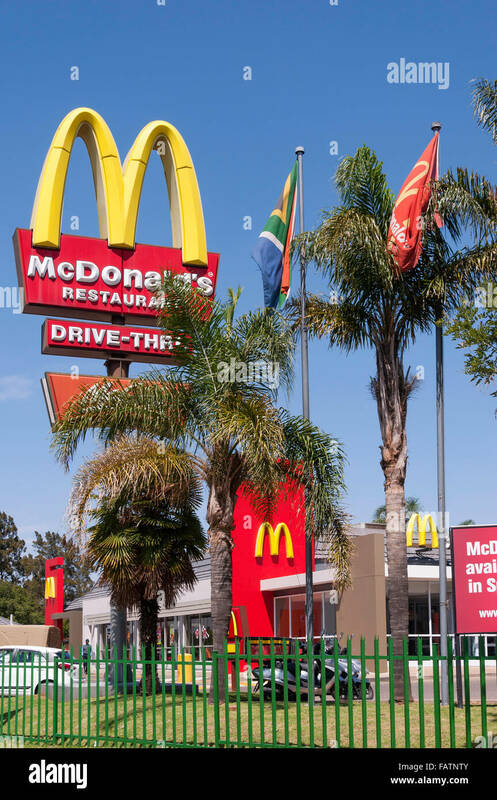 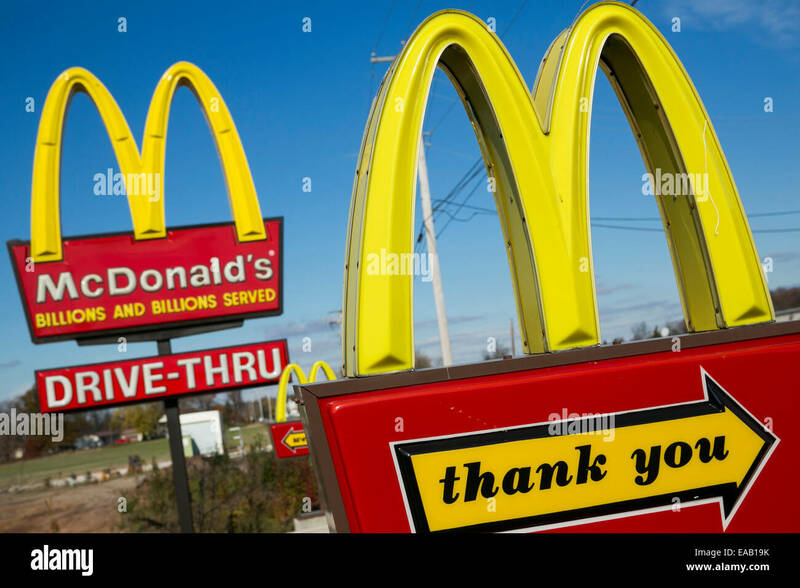 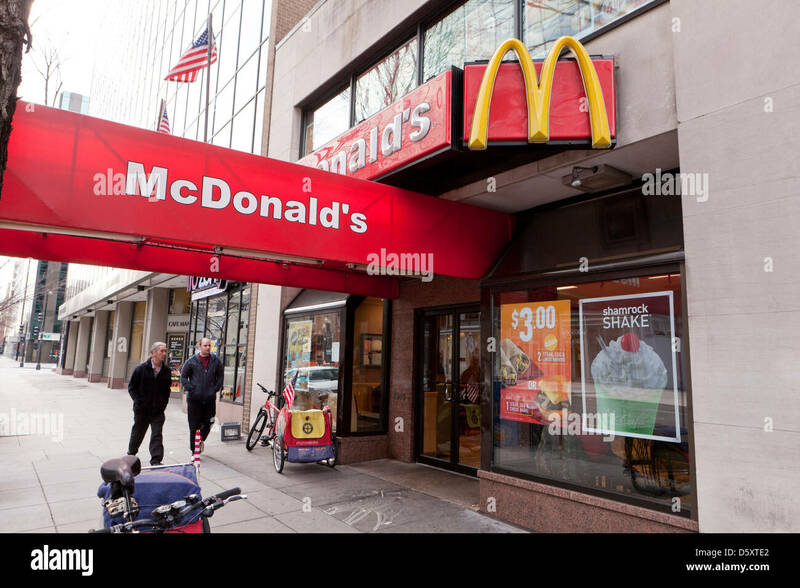 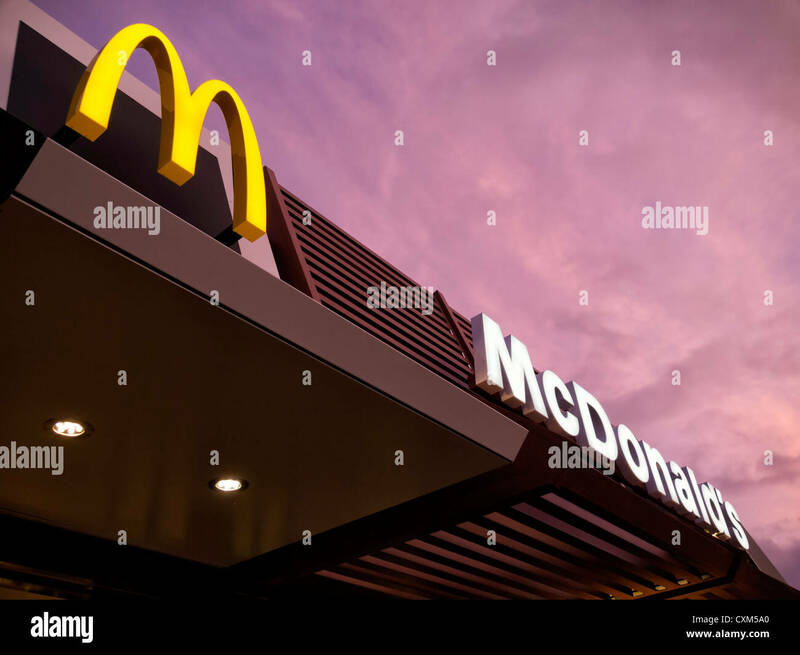 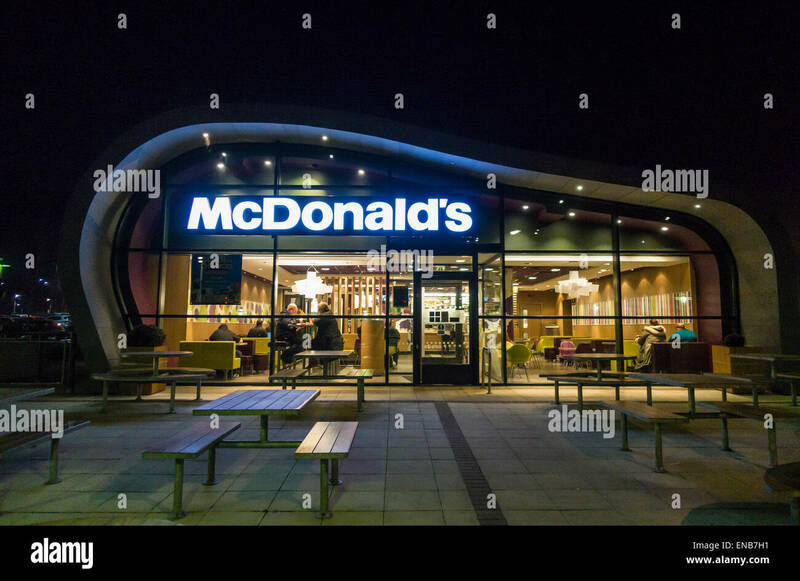 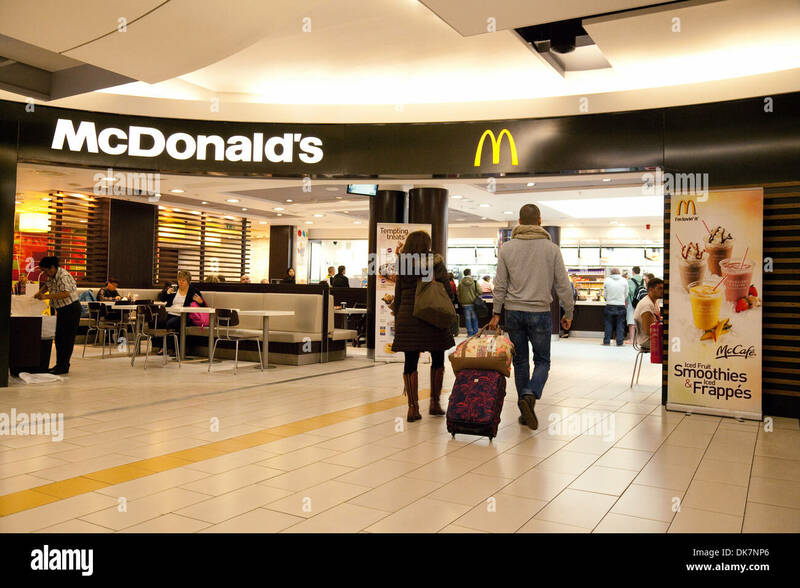 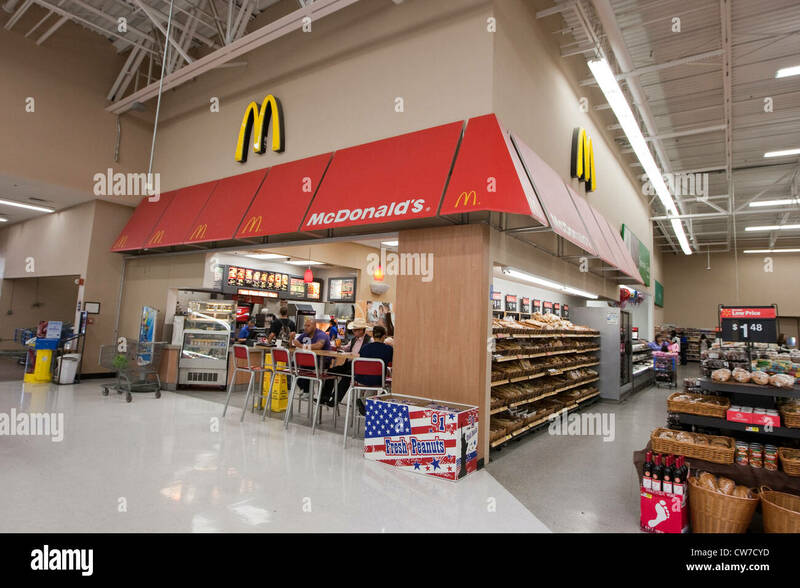 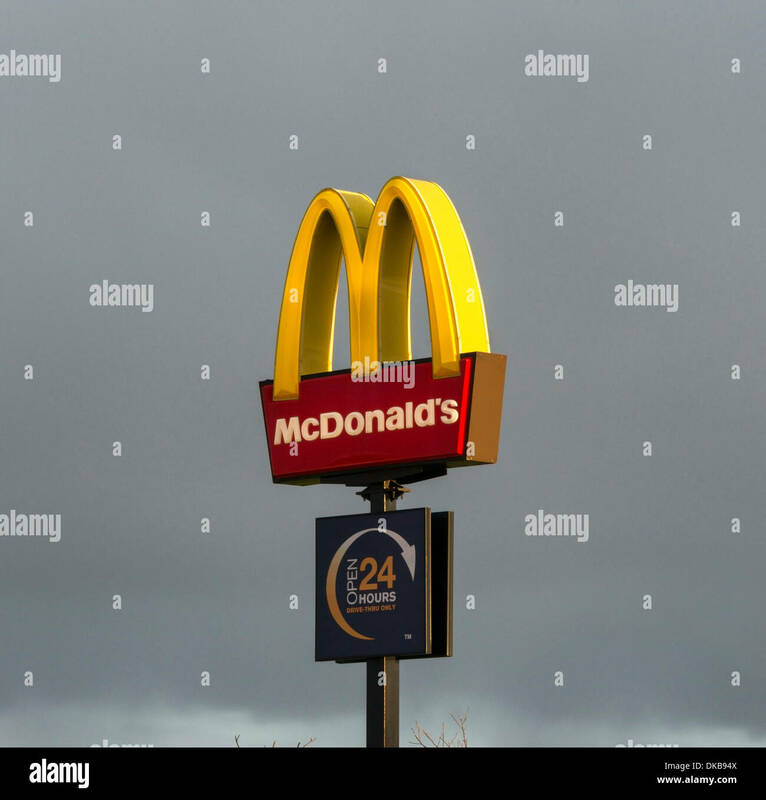 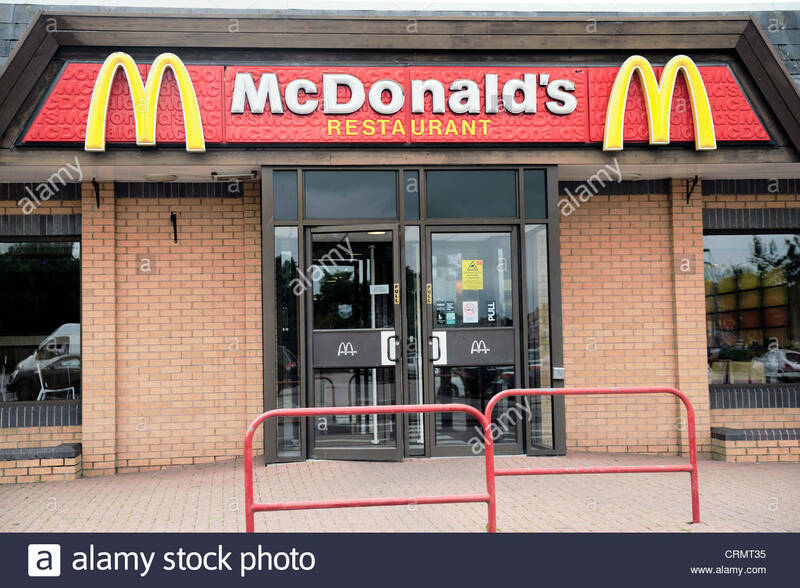 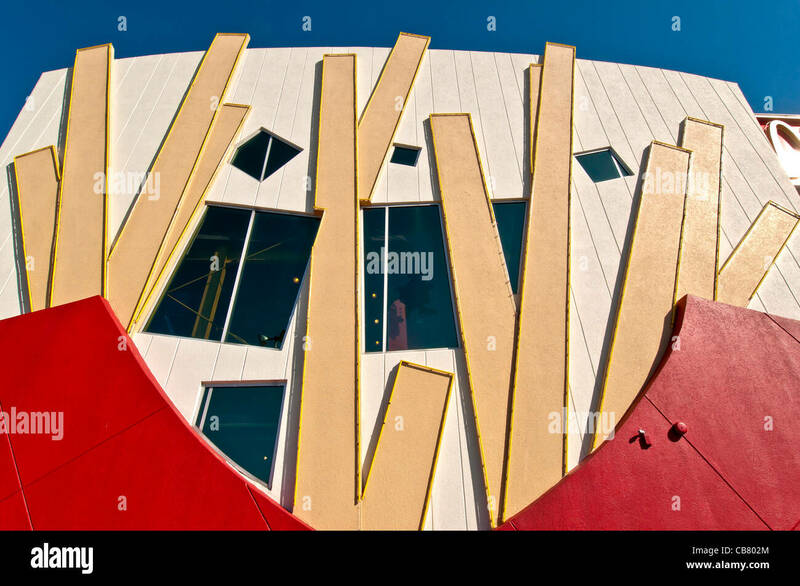 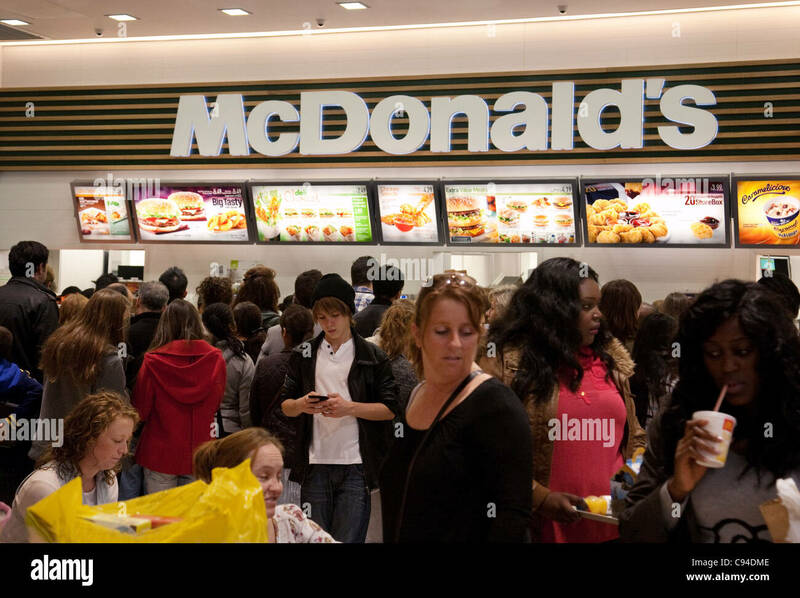 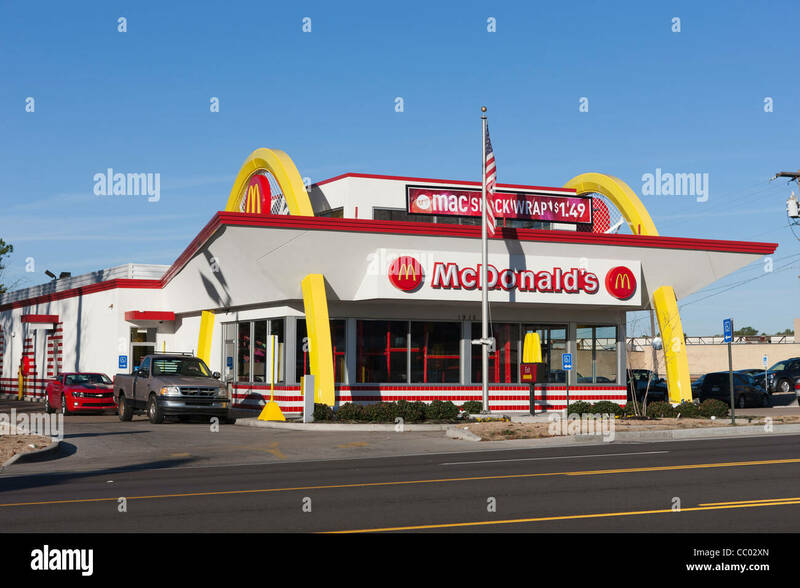 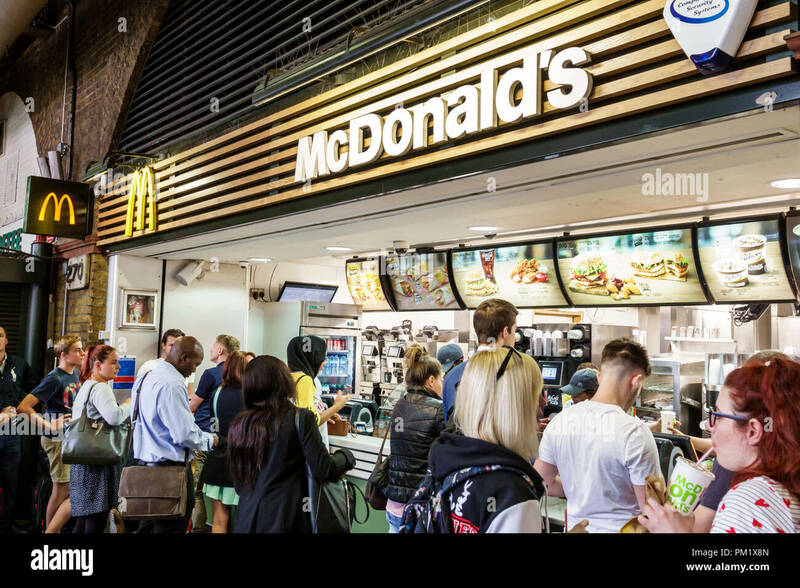 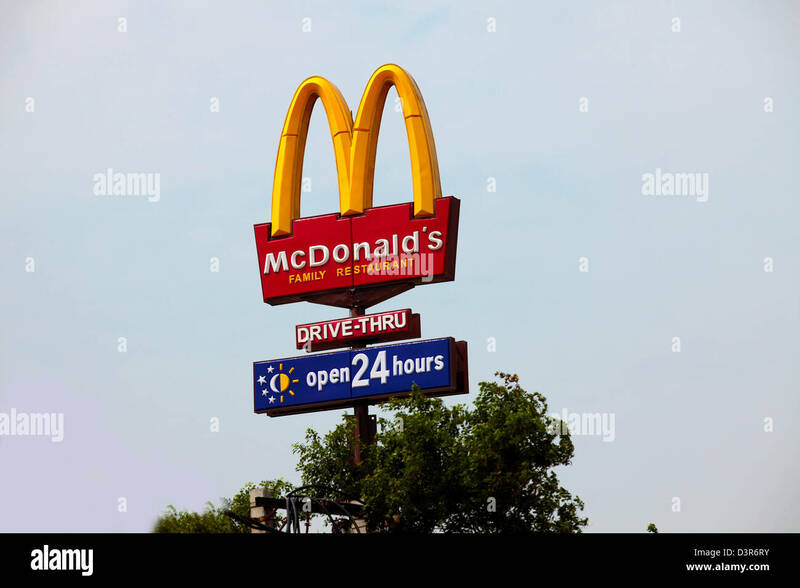 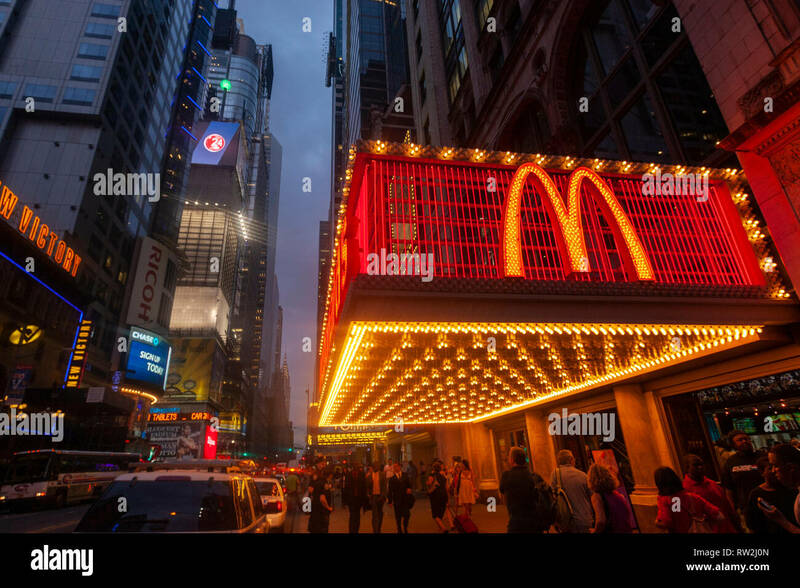 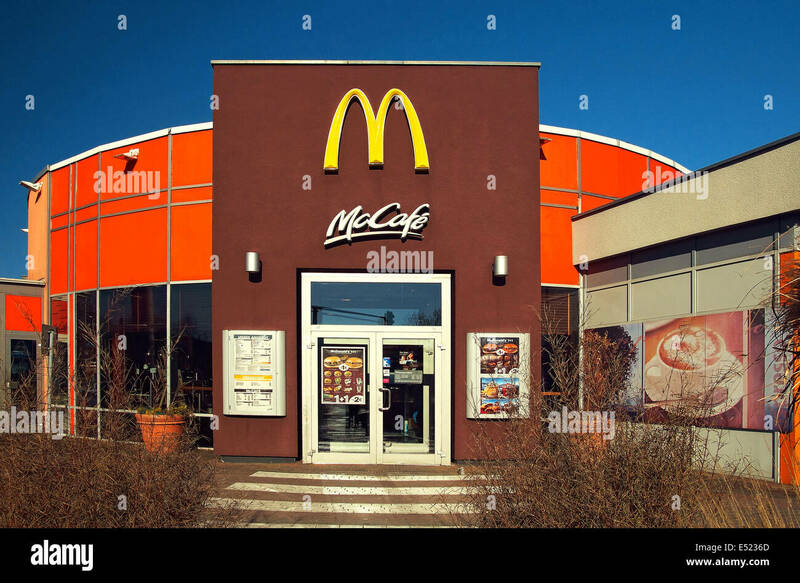 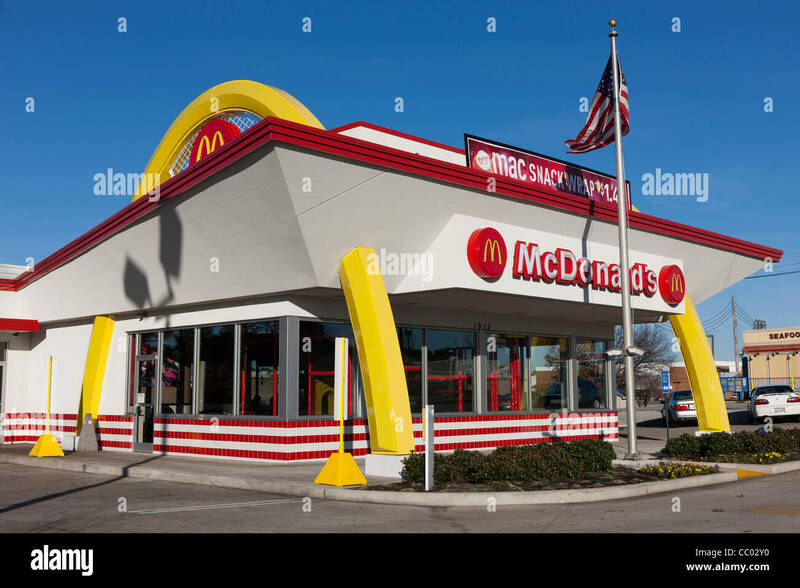 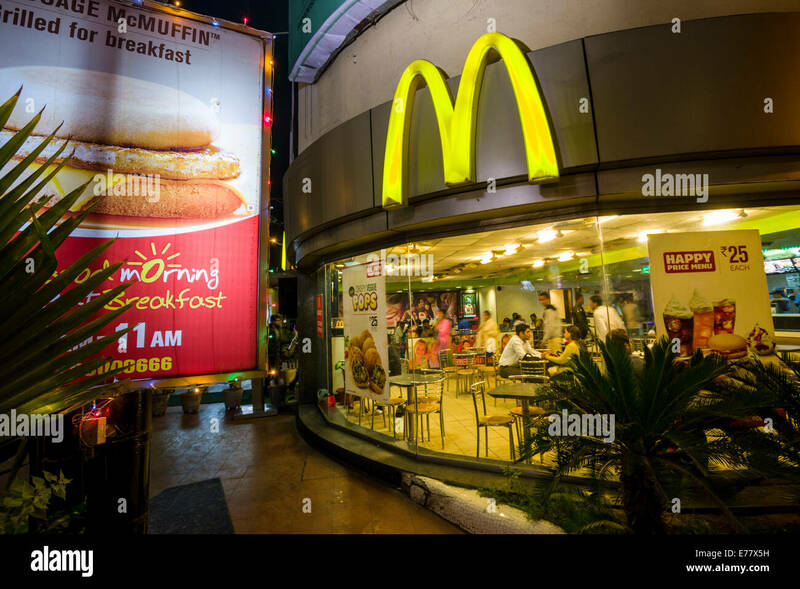 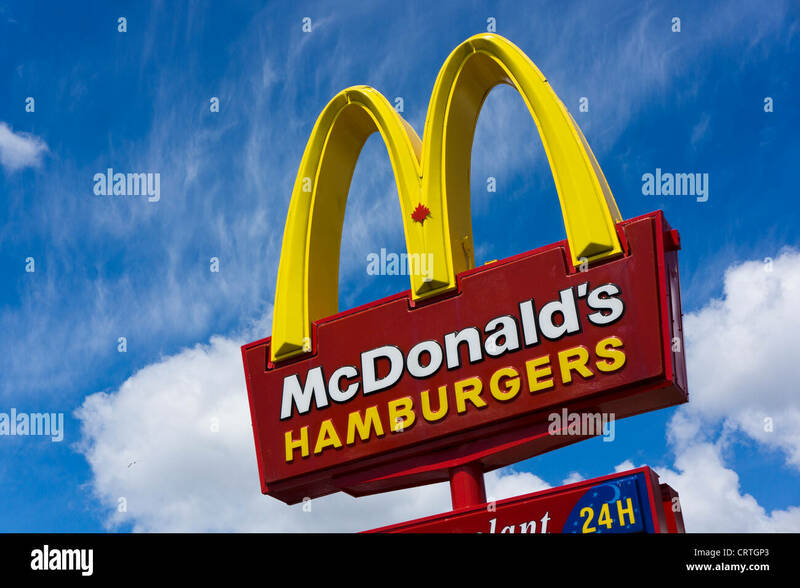 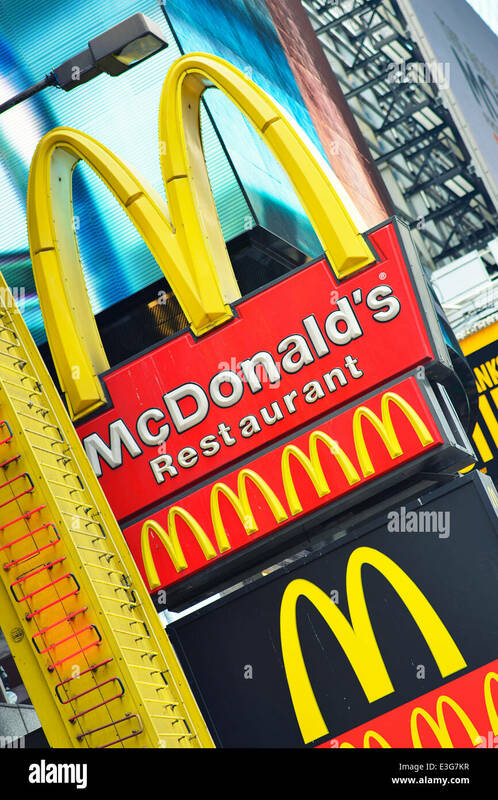 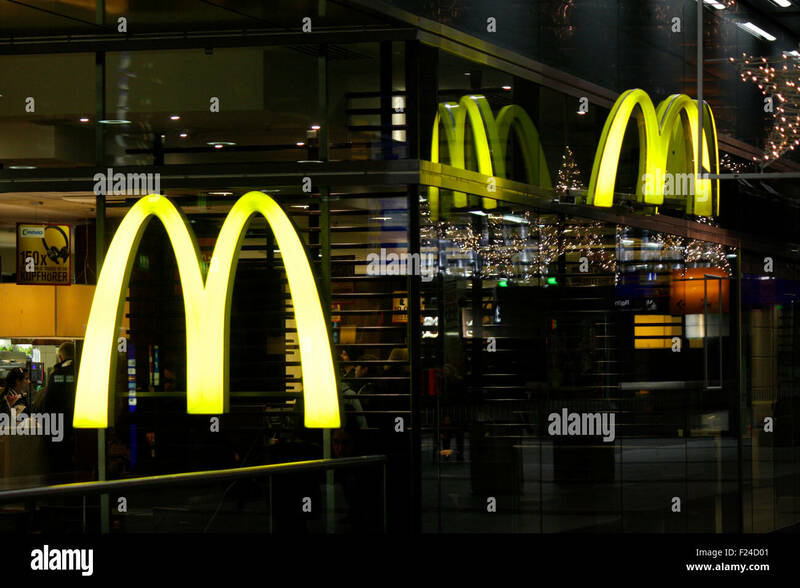 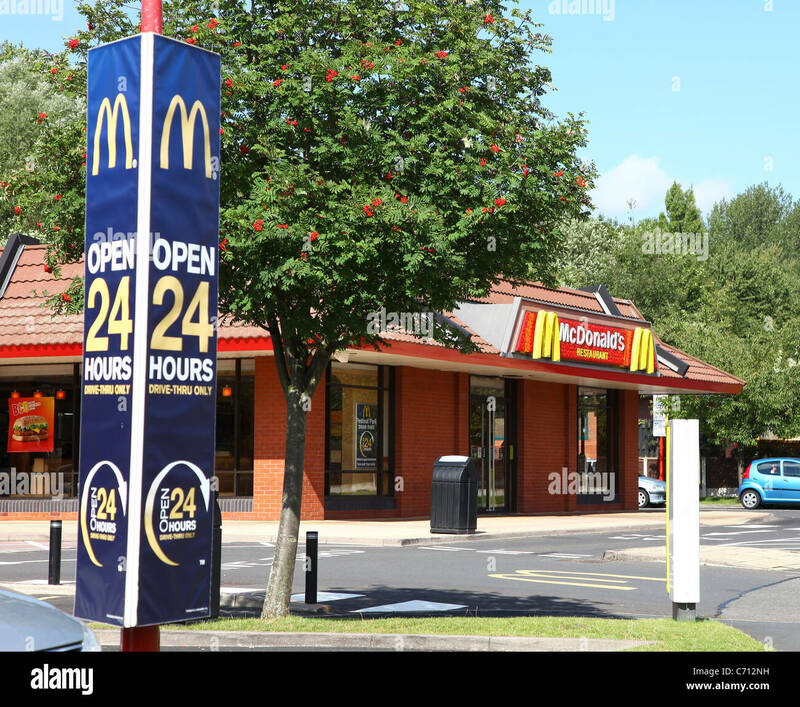 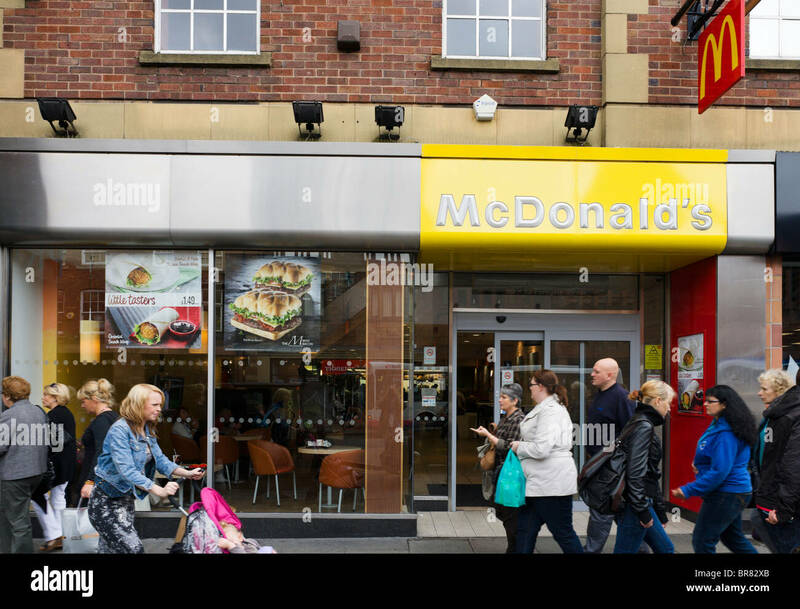 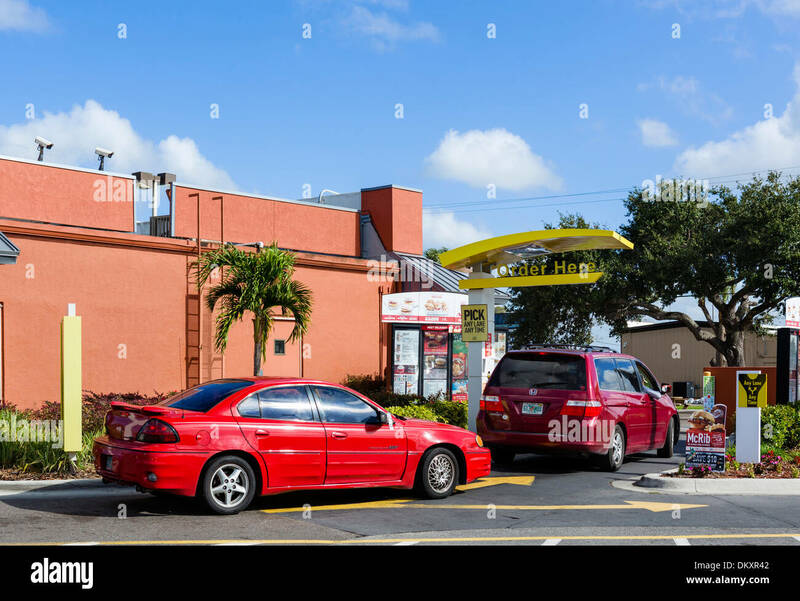 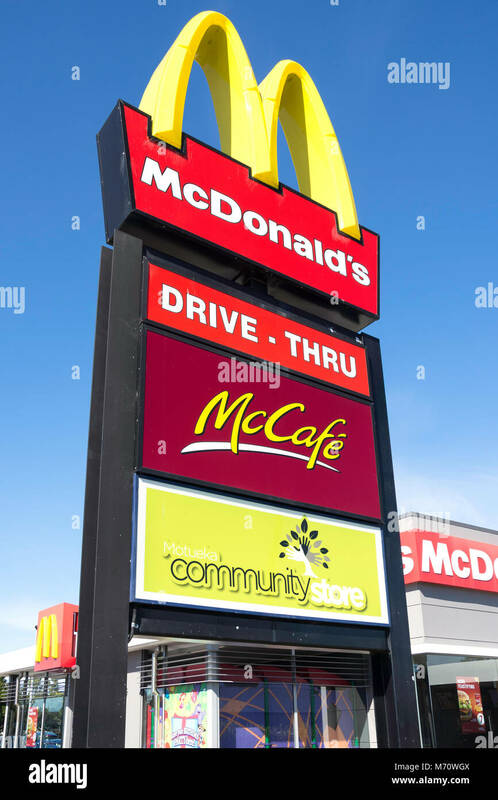 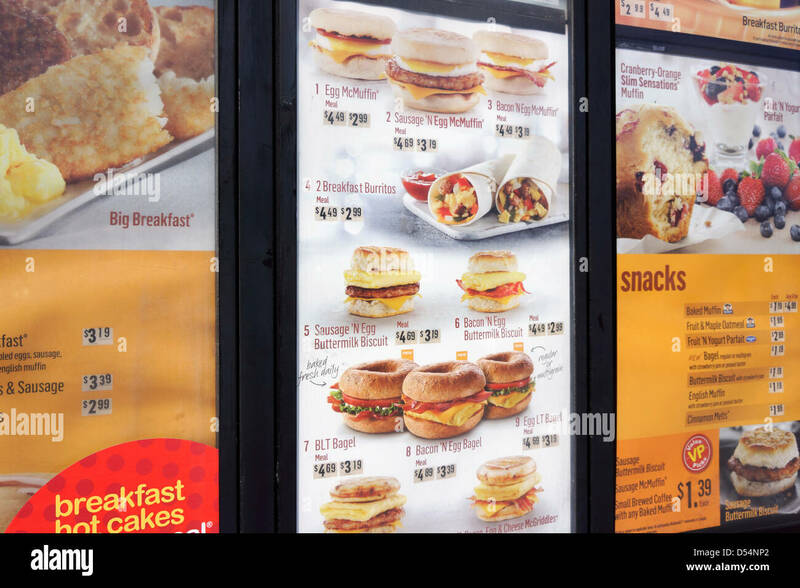 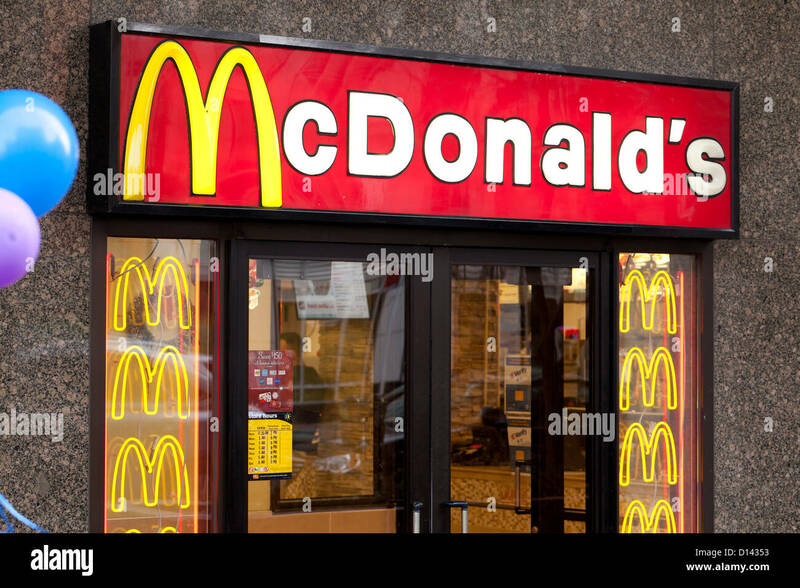 Multiple McDonald's 'Golden Arches' fast food restaurant signs. 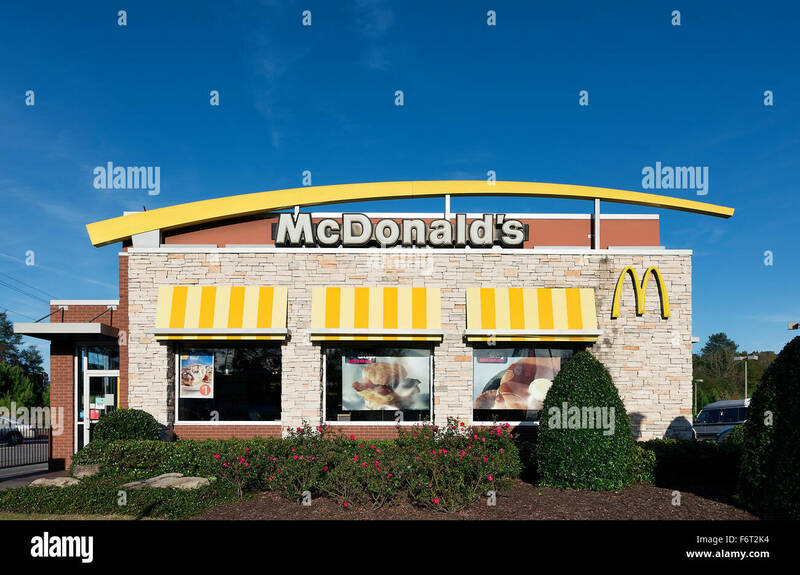 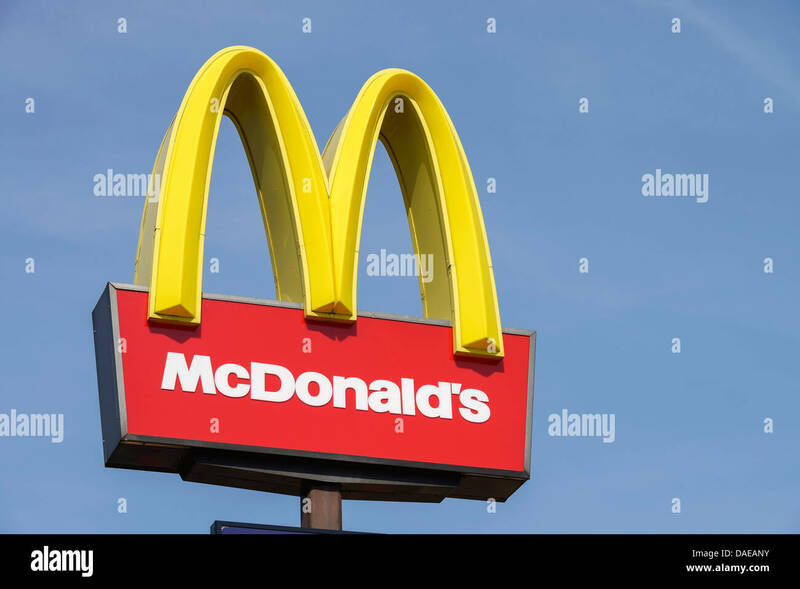 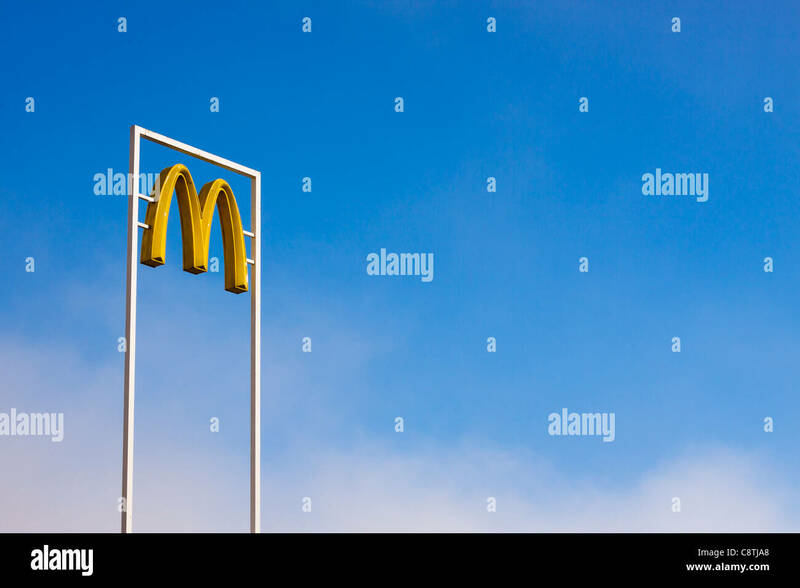 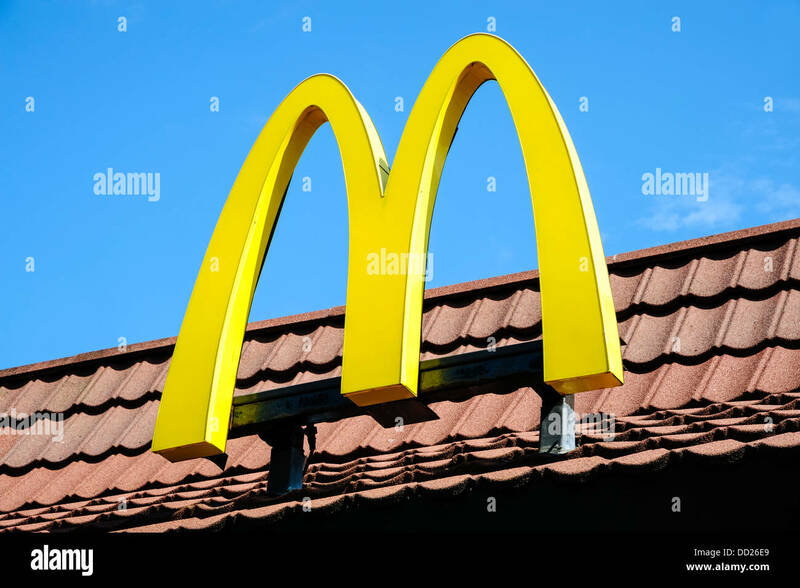 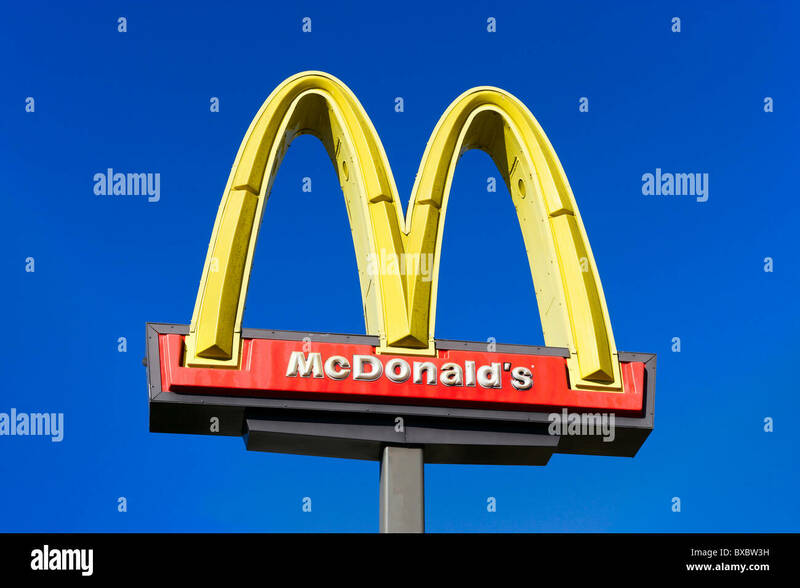 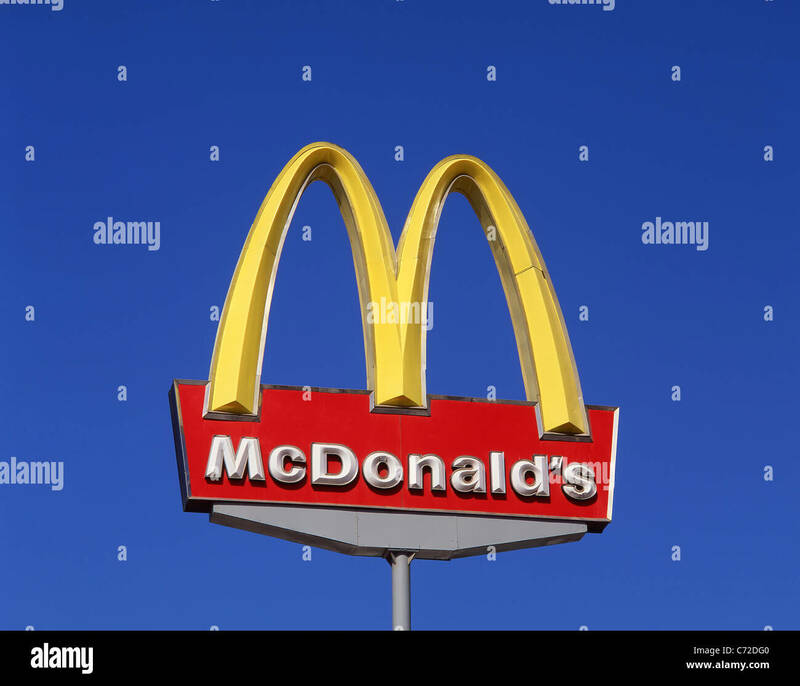 McDonalds sign over bright blue sky. 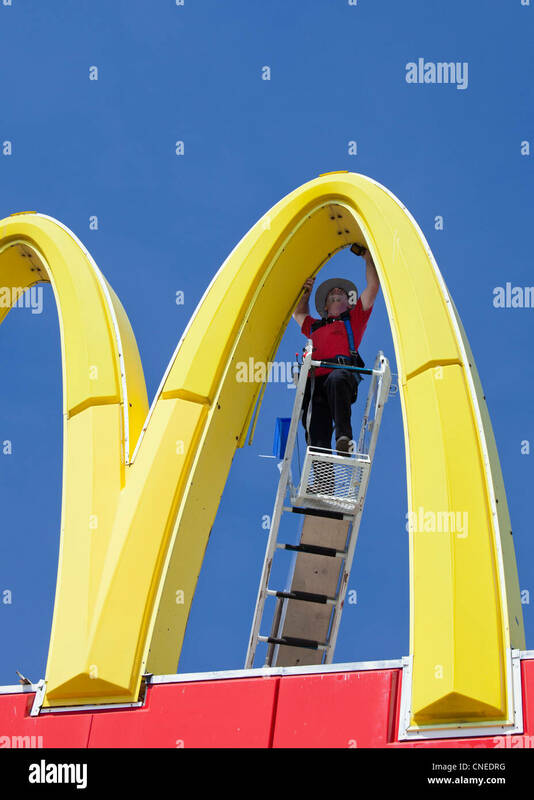 Detroit, Michigan - A worker repairs a McDonald's 'Golden Arches' sign. 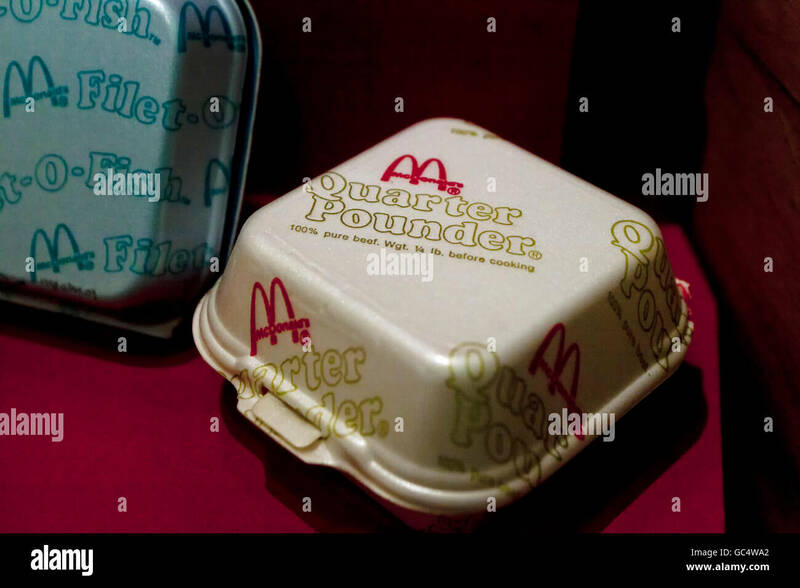 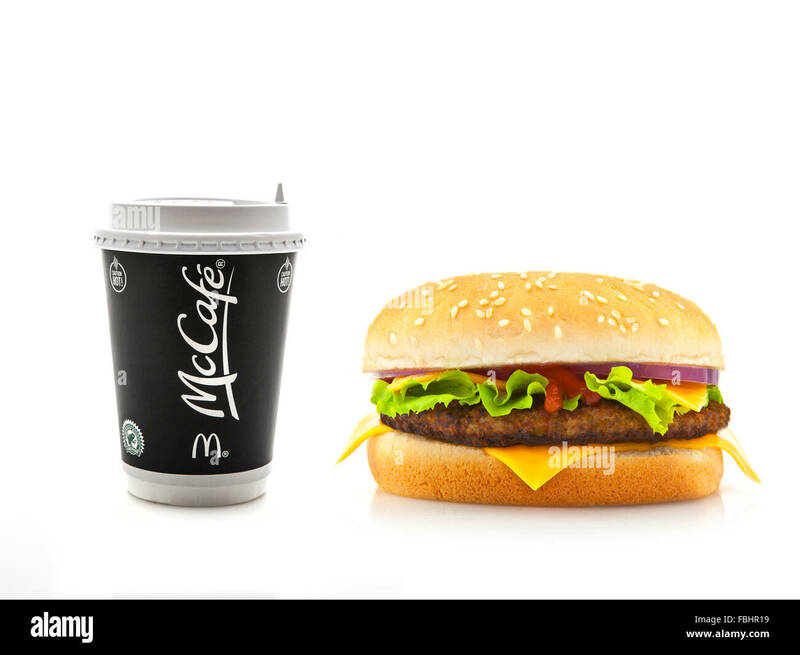 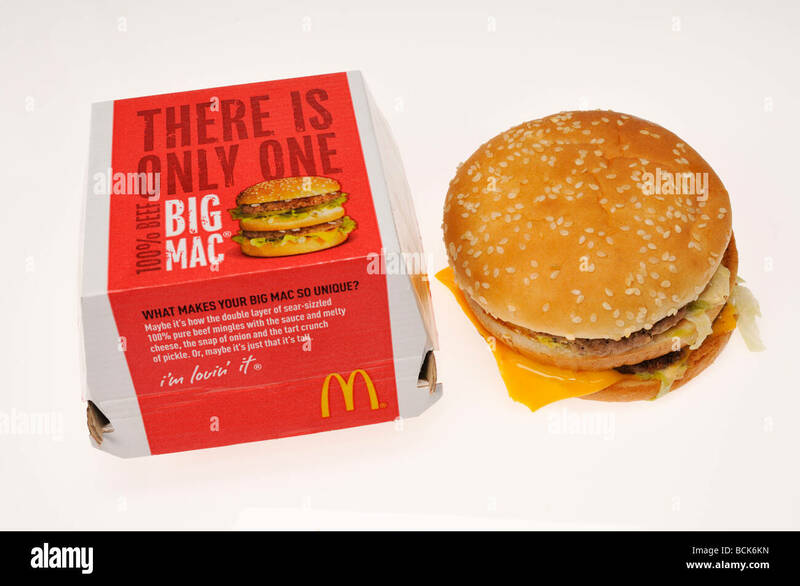 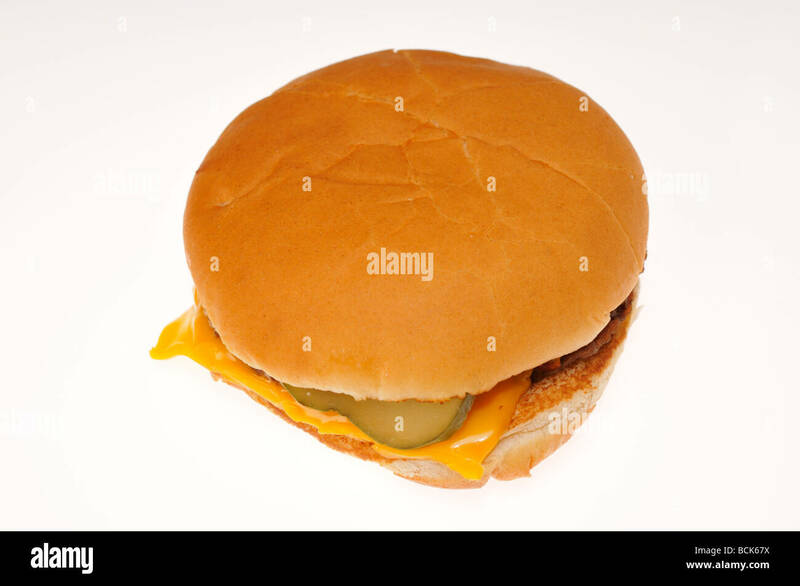 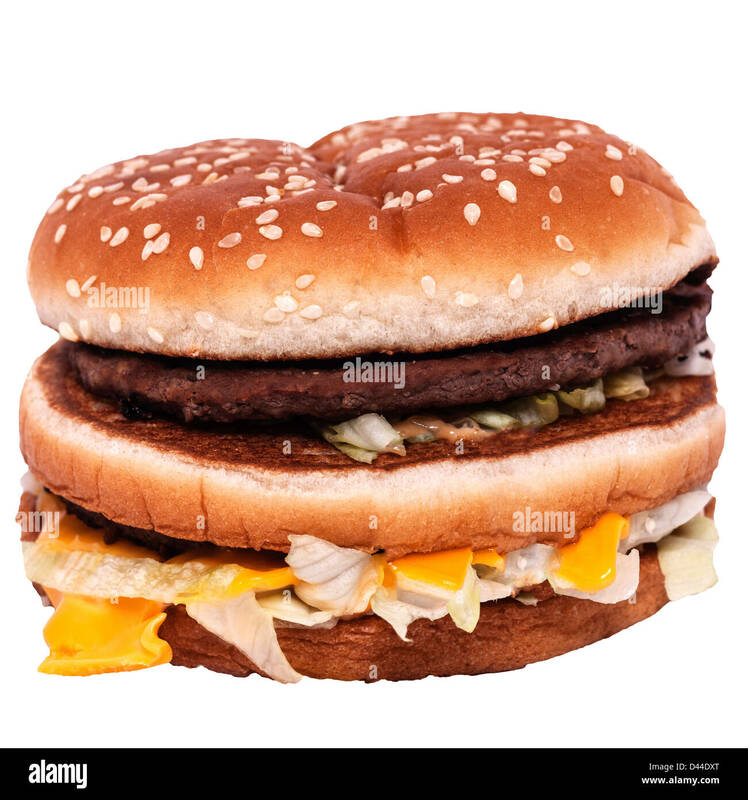 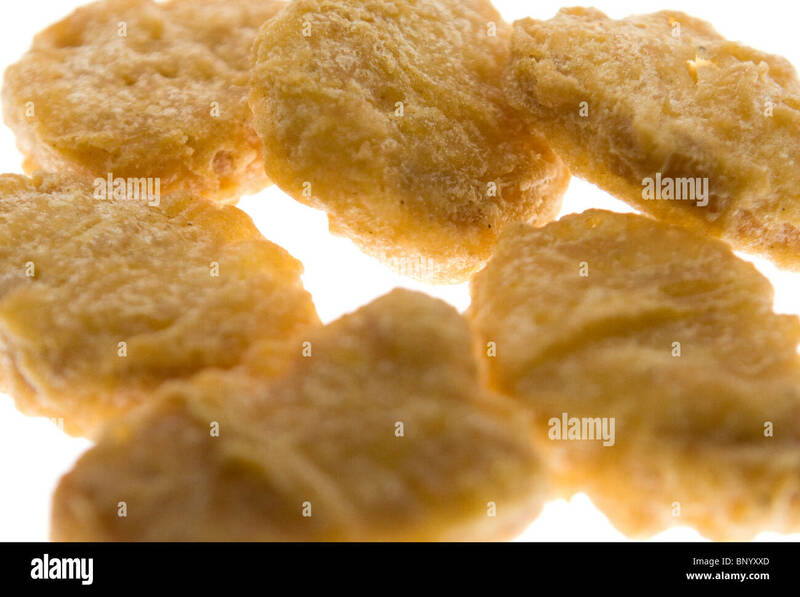 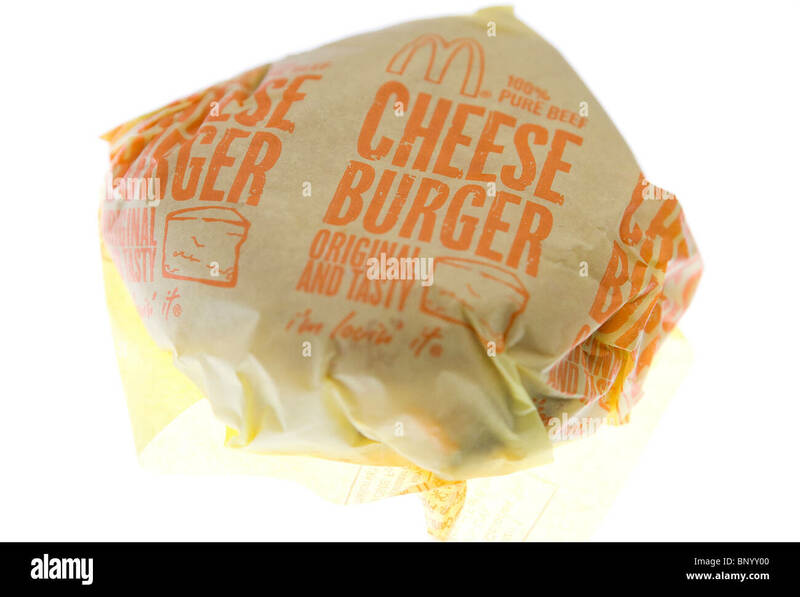 Mcdonalds Big Mac fast food sandwich with container on white background. 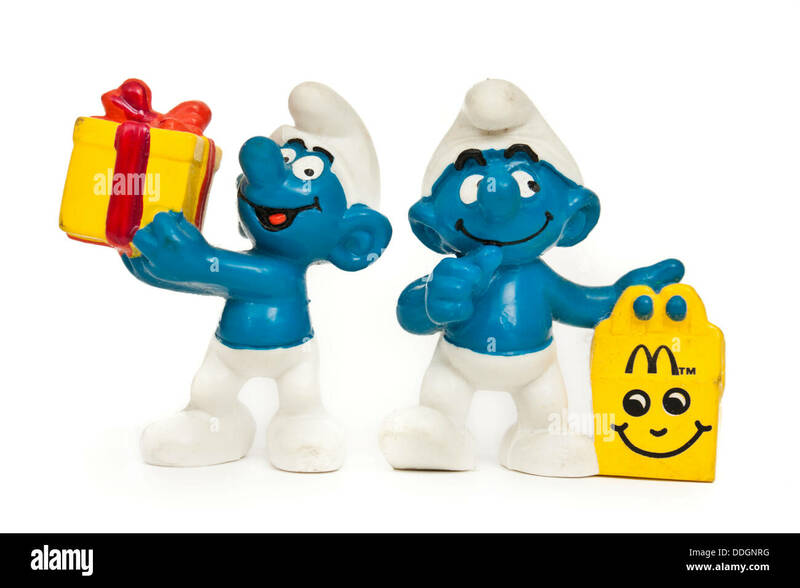 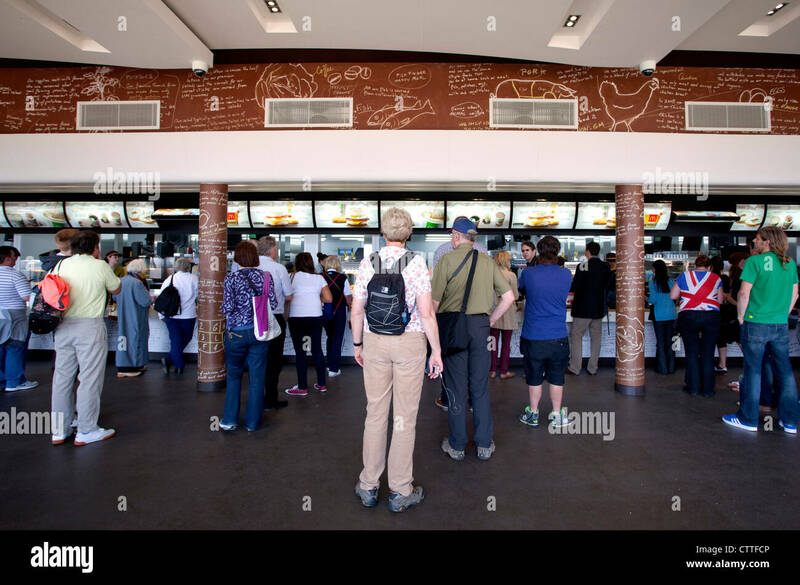 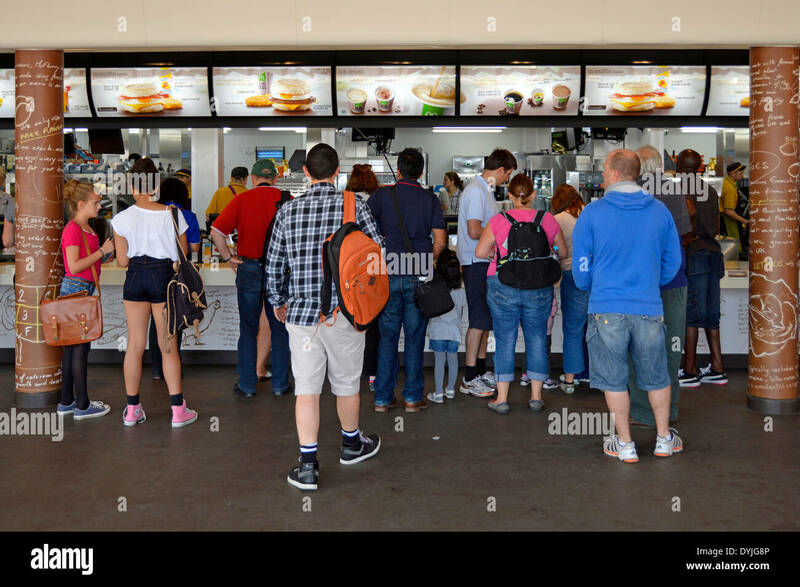 Customers at counter. 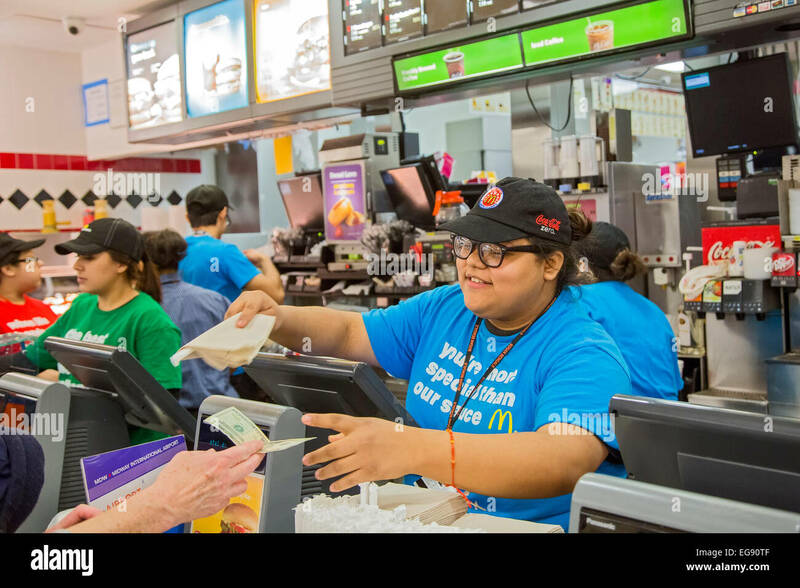 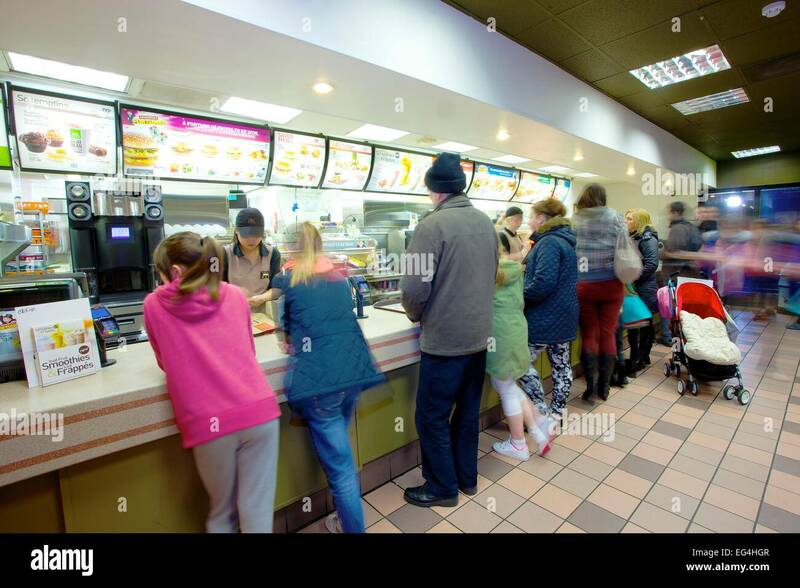 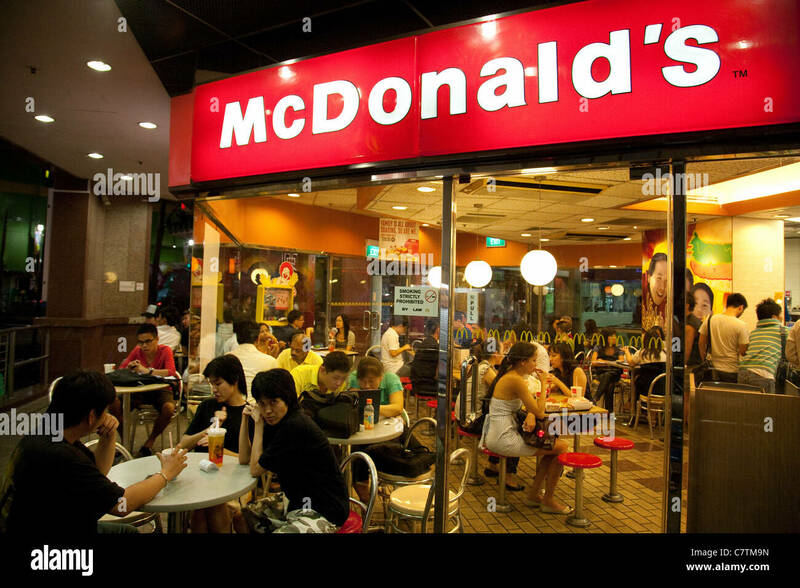 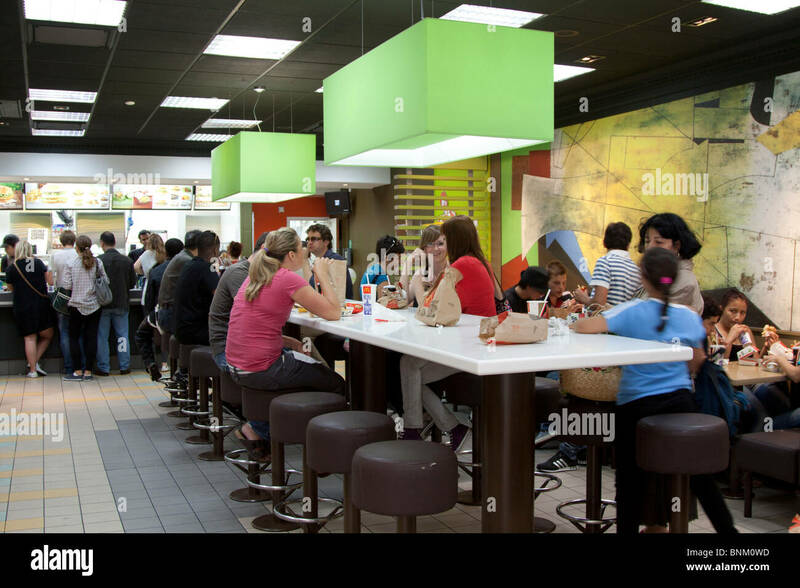 McDonalds restaurant interior. 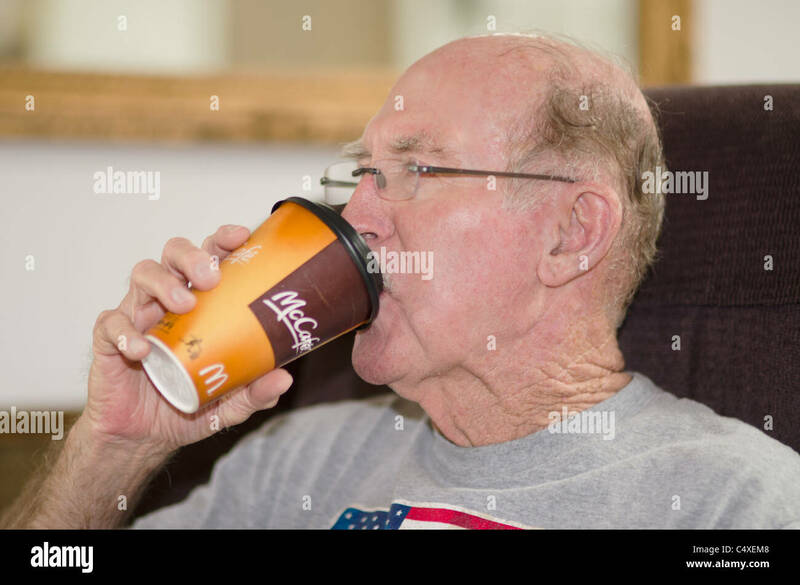 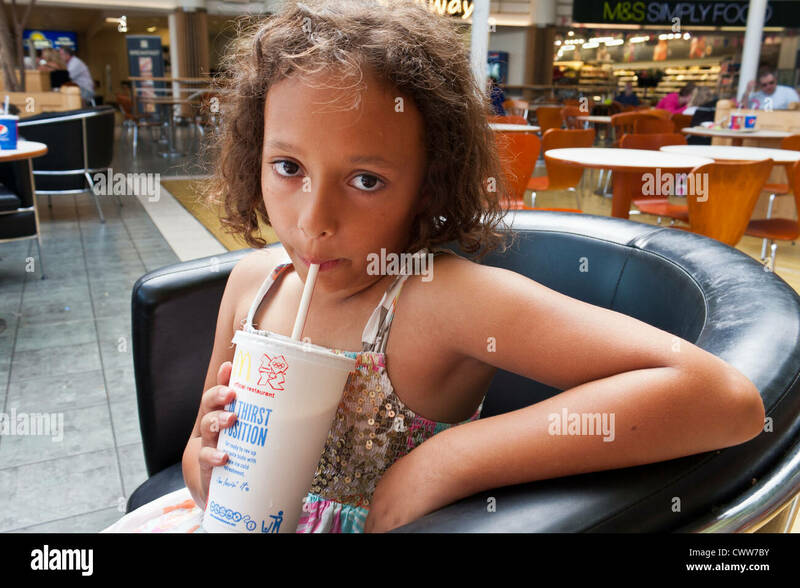 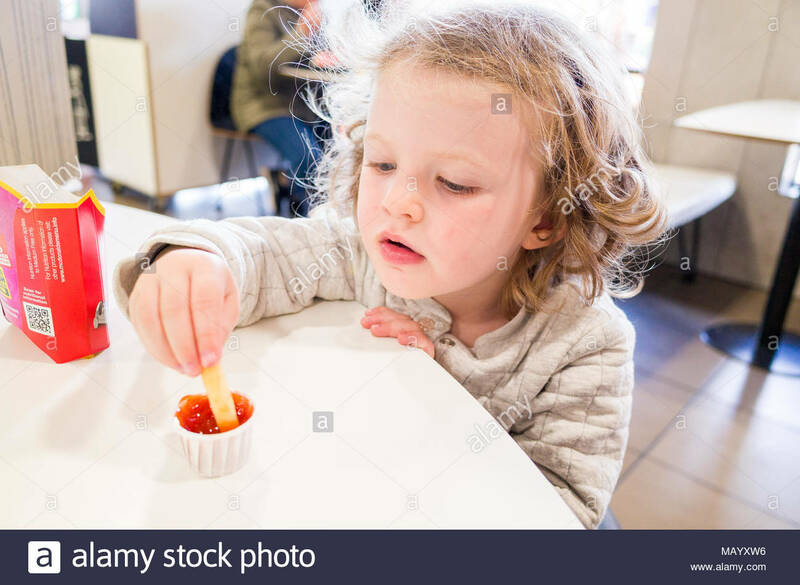 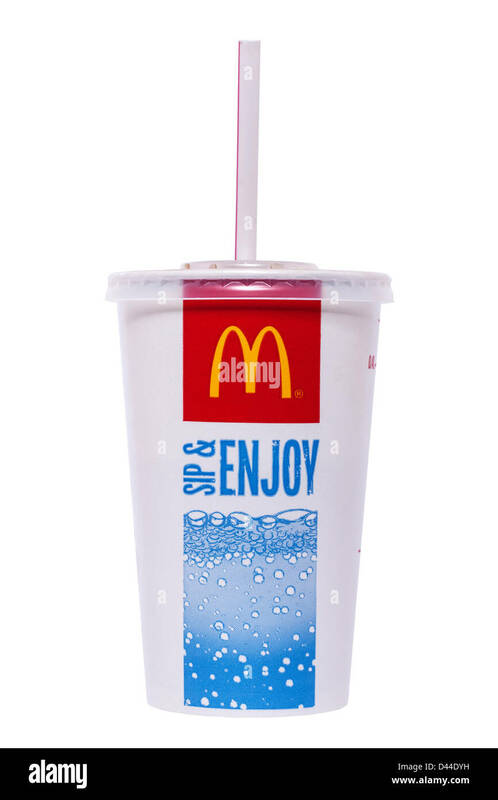 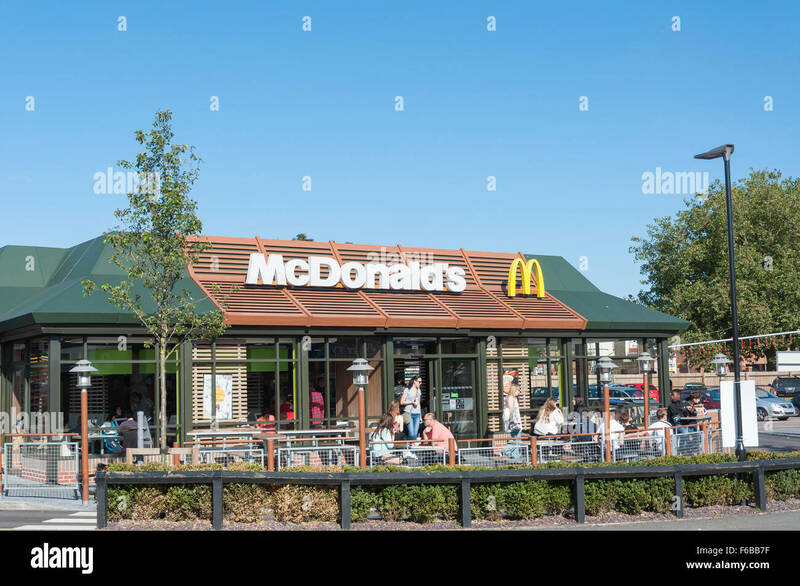 A primary school-aged girl drinks a milkshake from an outlet of McDonalds Extra, at a motorway service station in England. 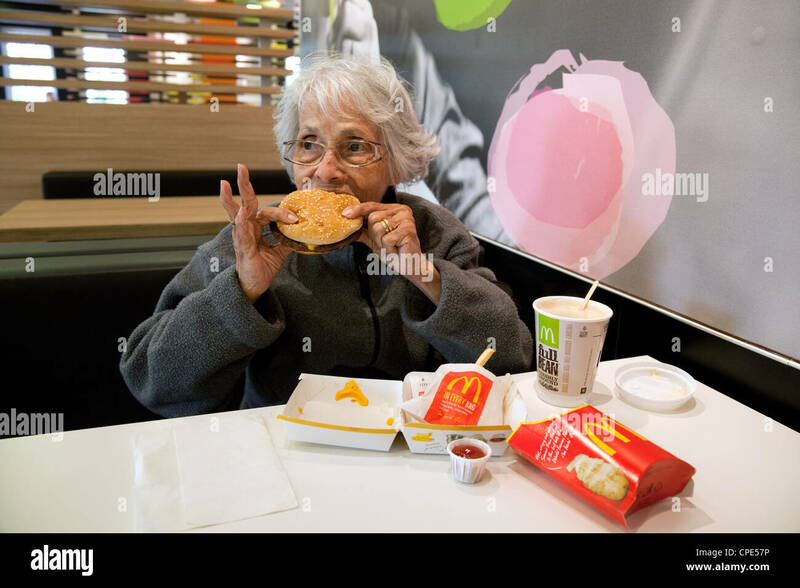 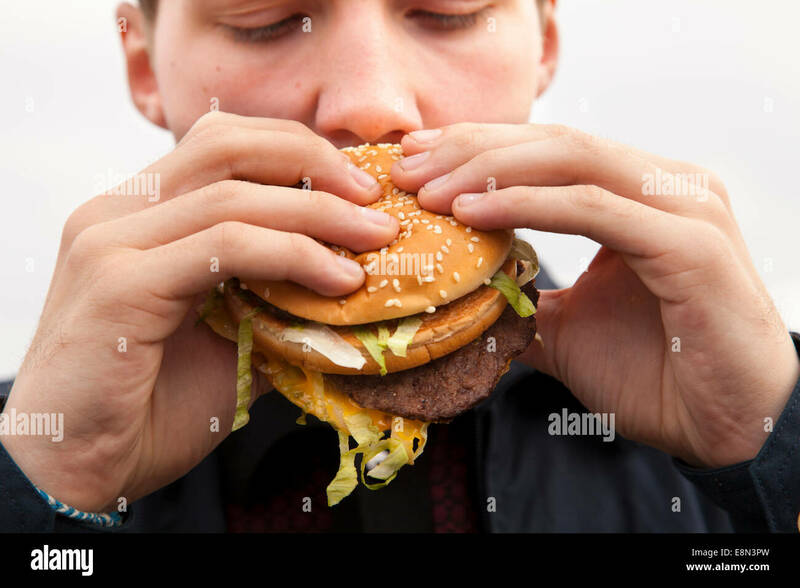 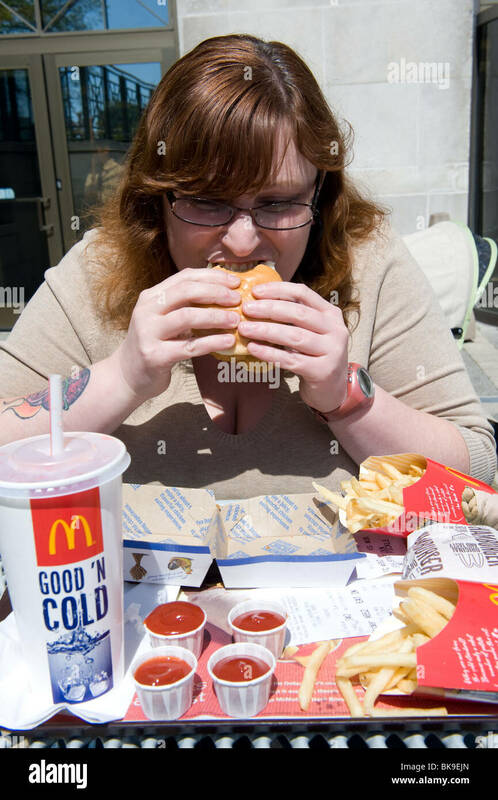 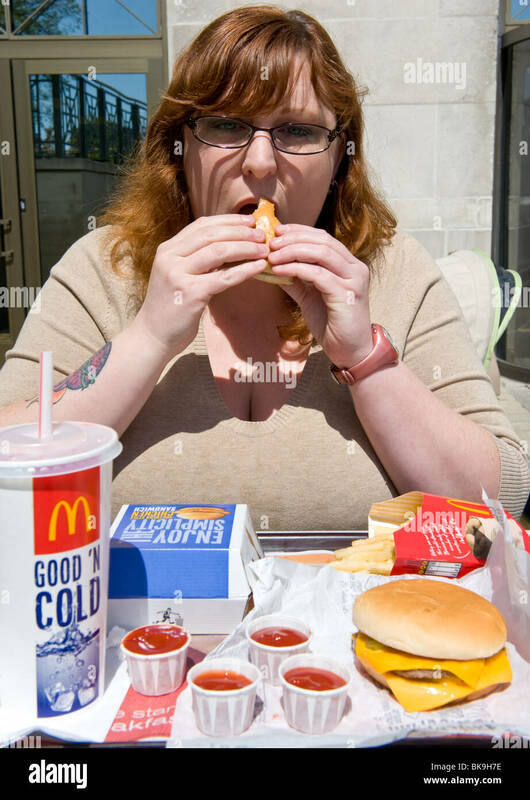 A teenager eating a McDonald's Big Mac burger. 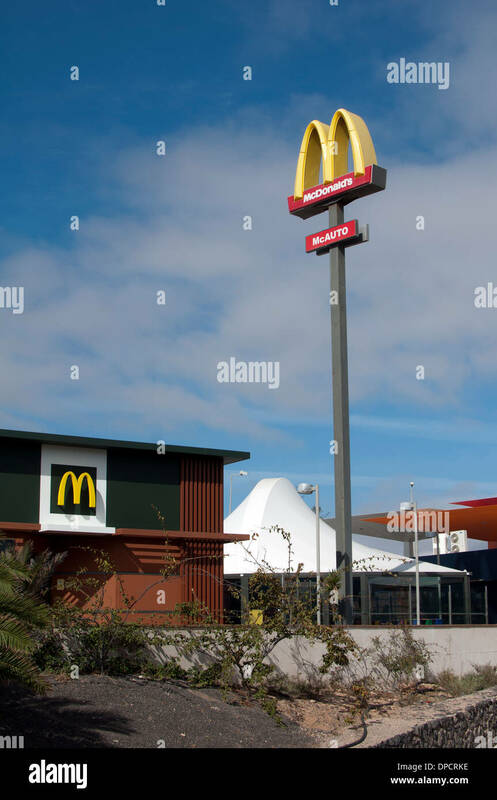 McDonald`s restaurant, Caleta de Fuste, Fuerteventura, Canary Islands, Spain.